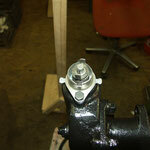 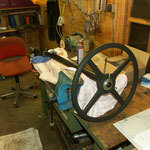 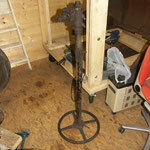 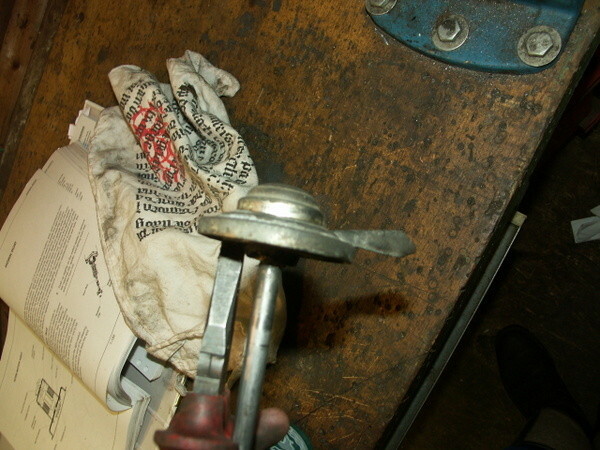 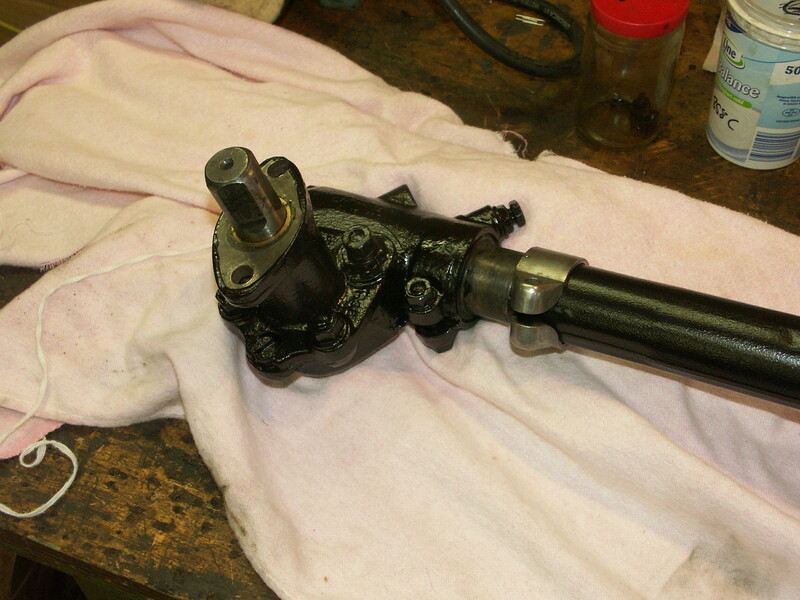 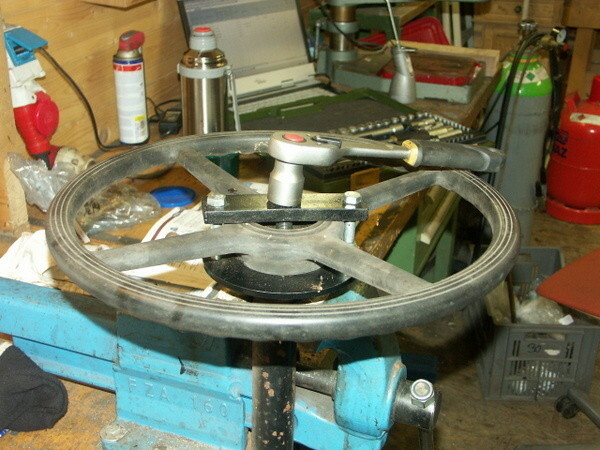 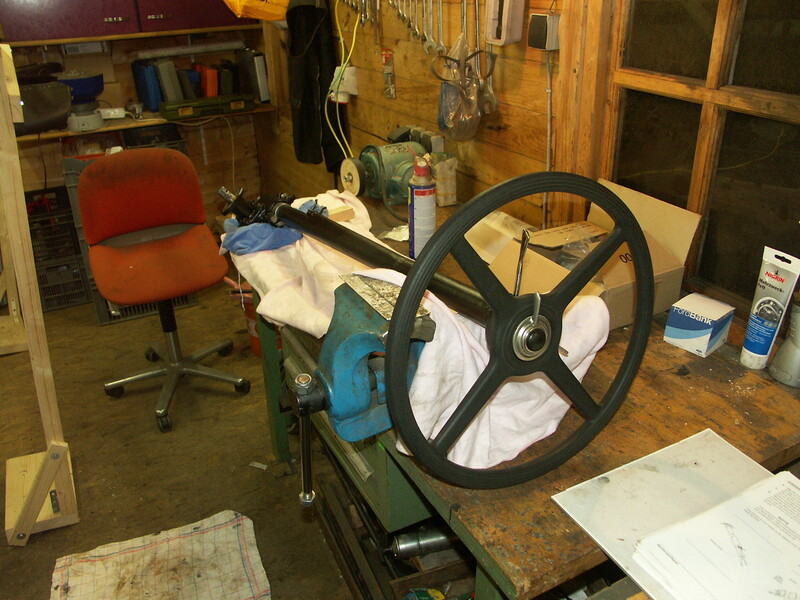 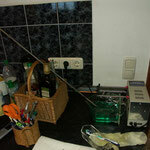 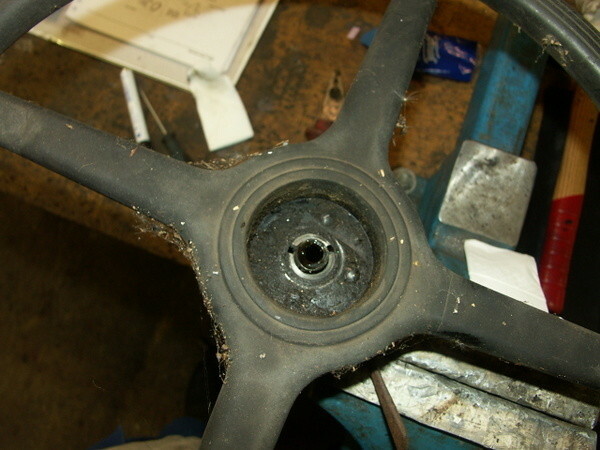 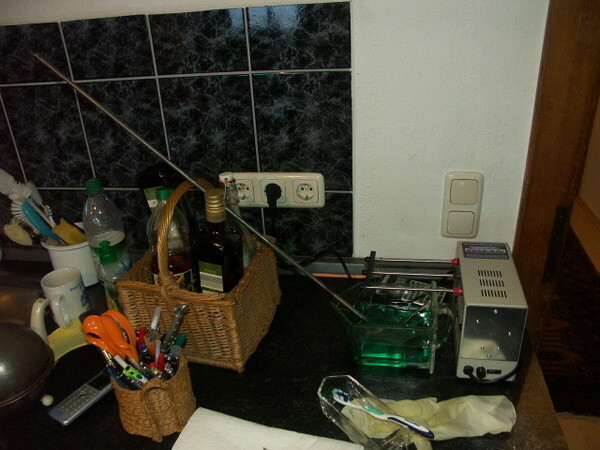 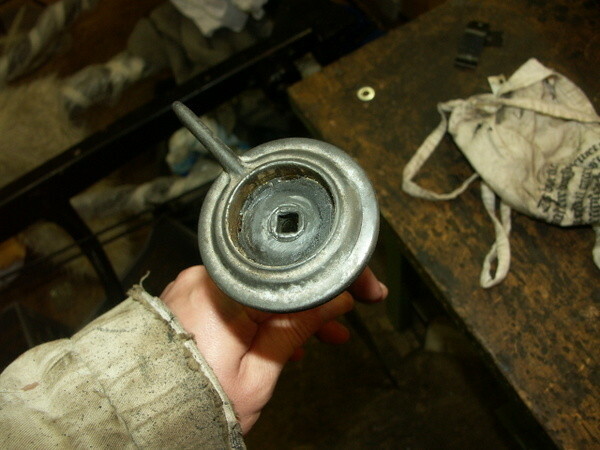 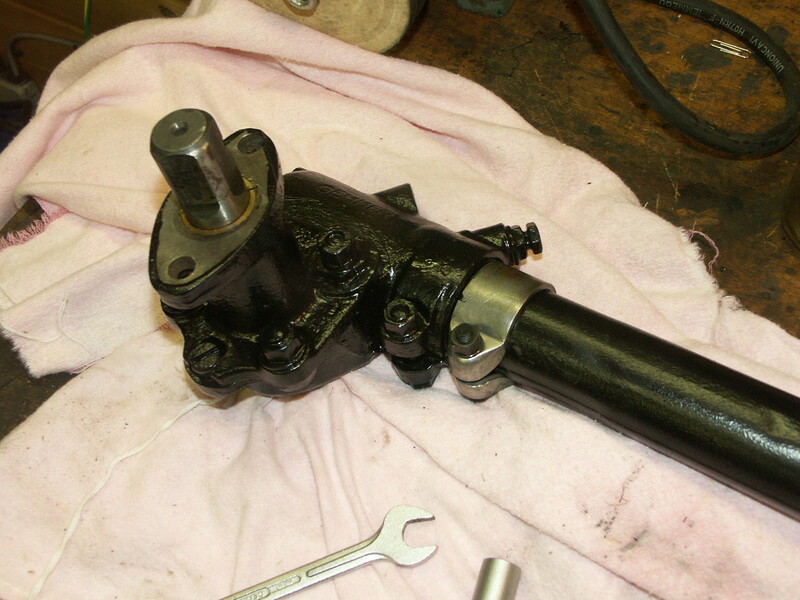 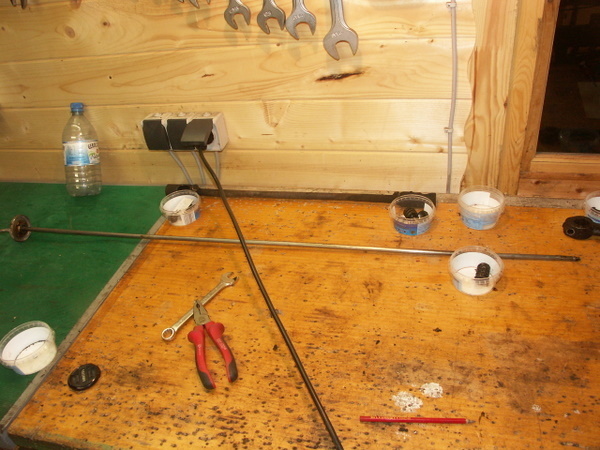 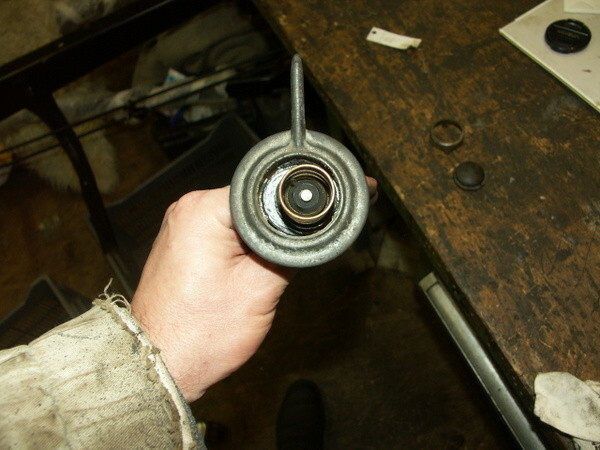 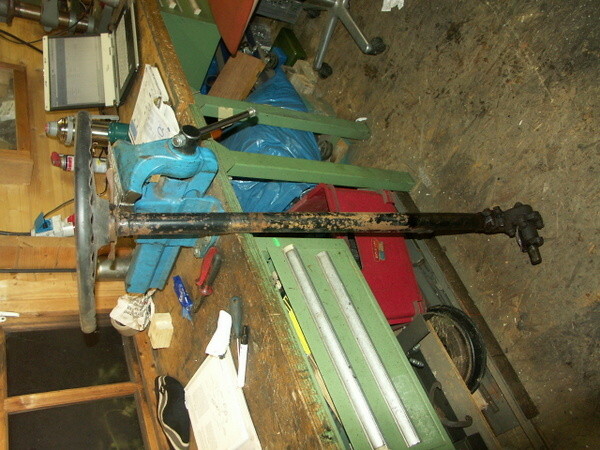 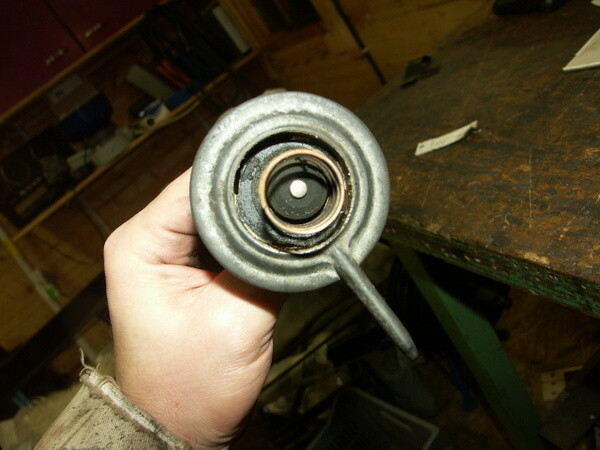 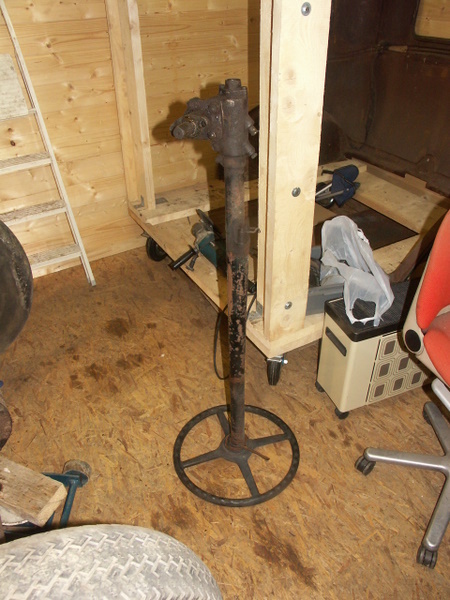 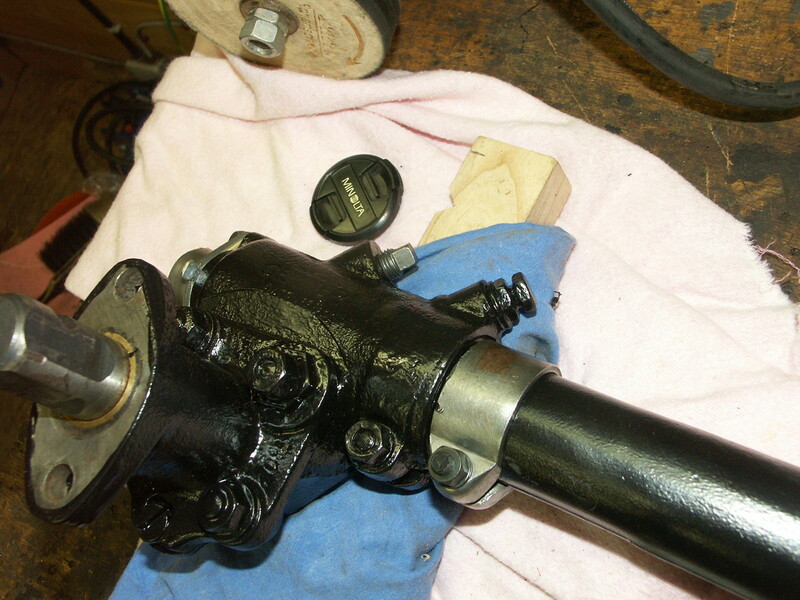 In the resoration process of the steering column we decided to reuse almost all parts. 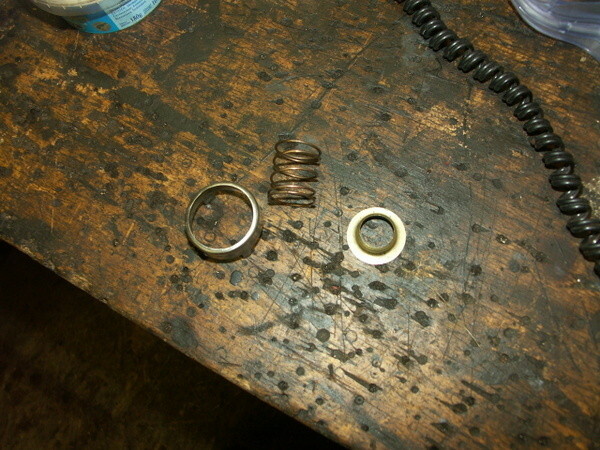 The price is a used appearence and may be some oil leaks. 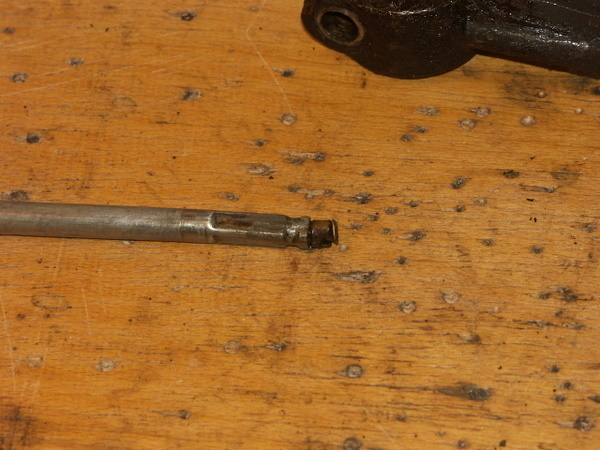 The spark and throttle rode were very rusted. 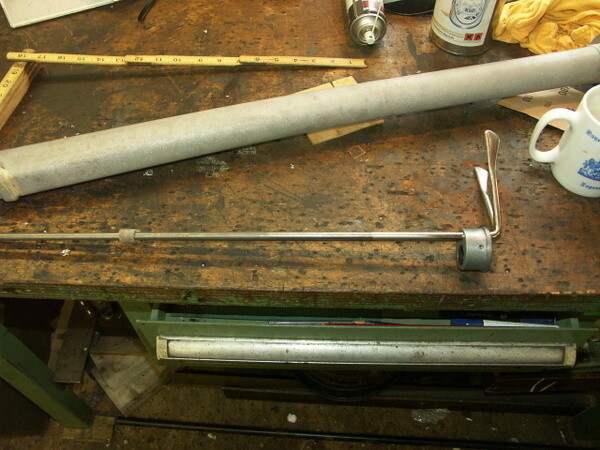 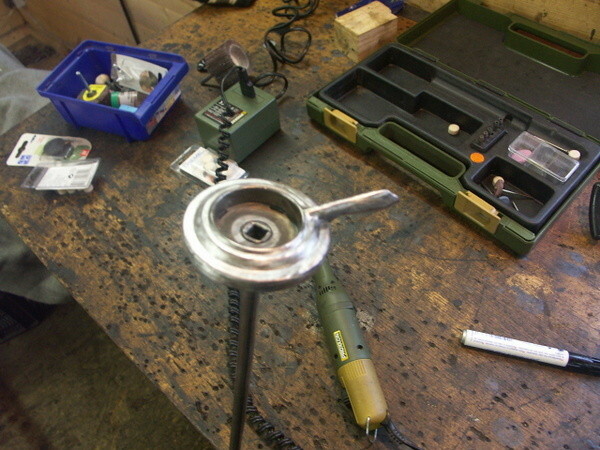 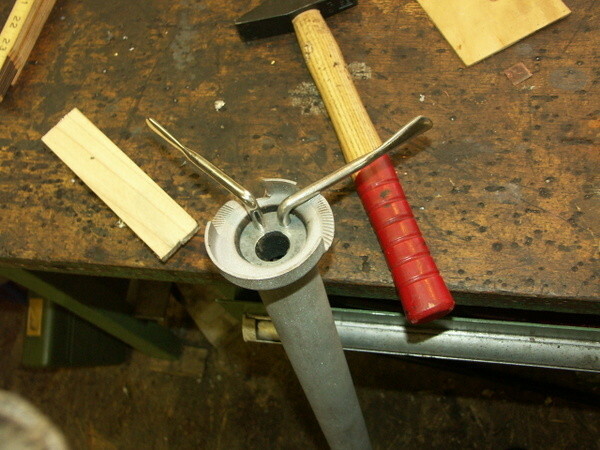 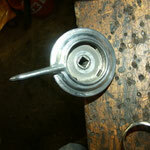 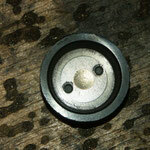 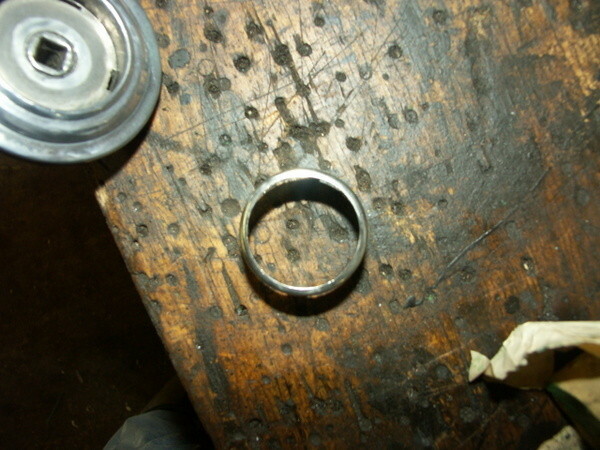 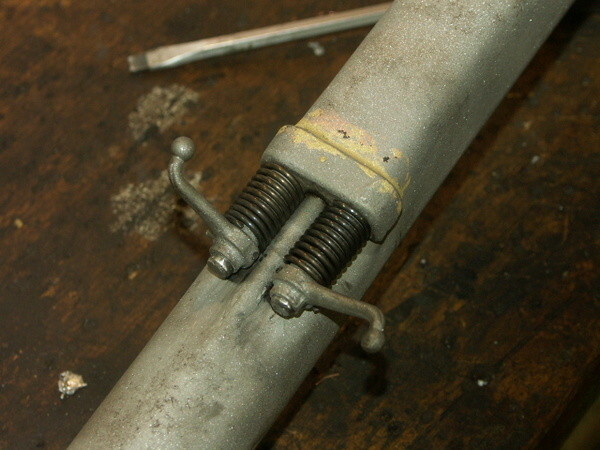 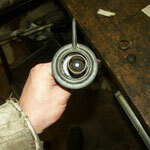 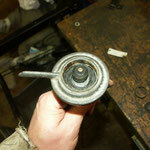 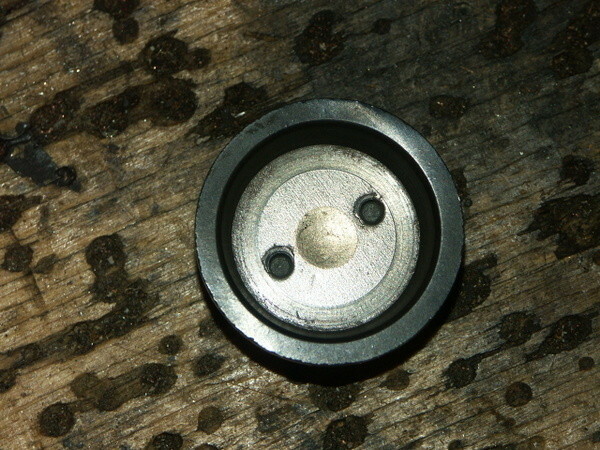 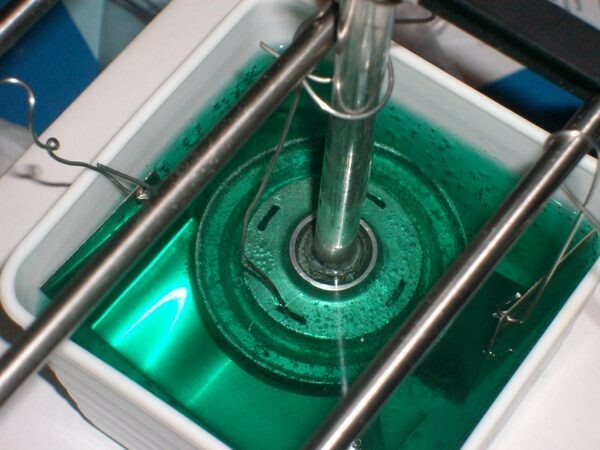 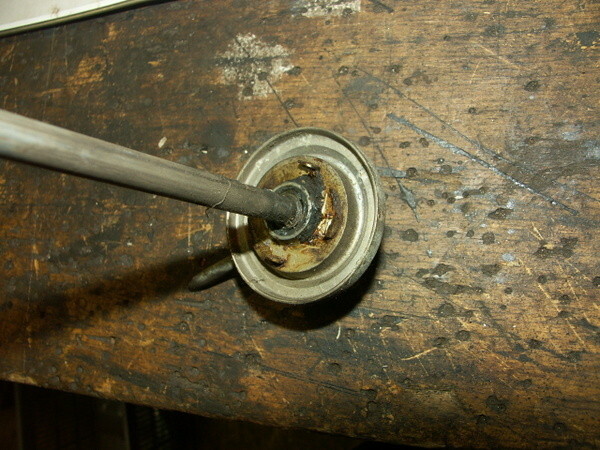 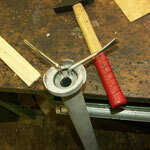 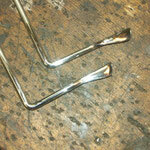 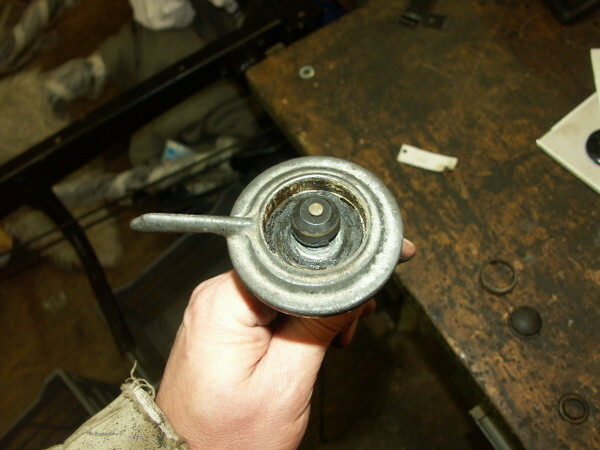 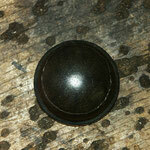 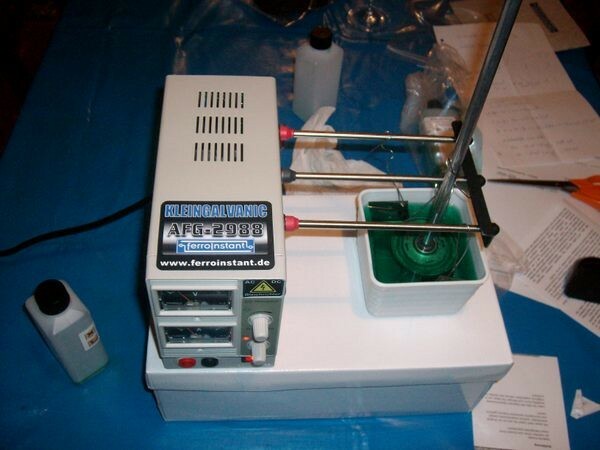 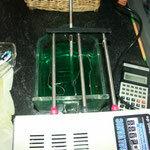 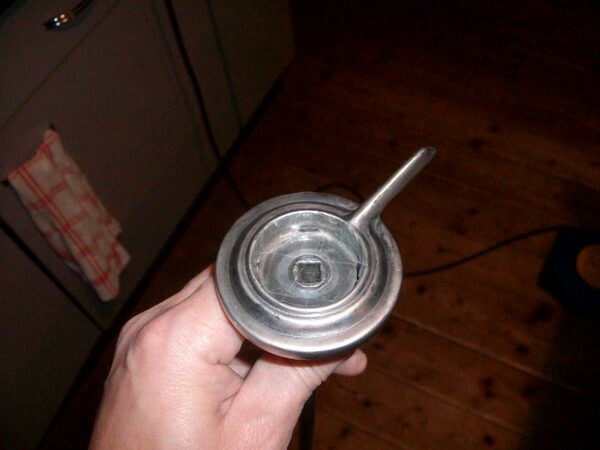 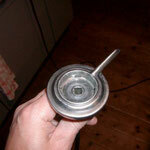 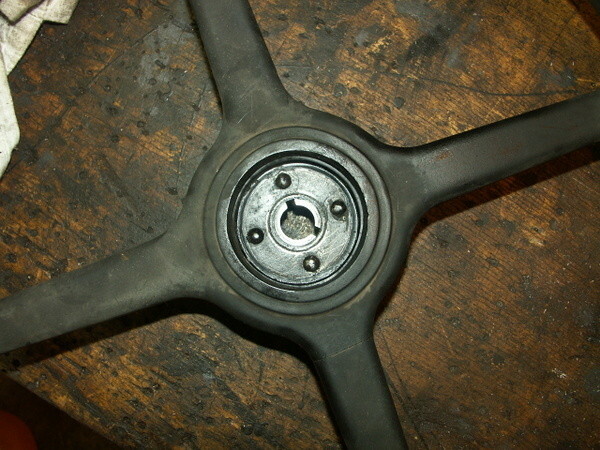 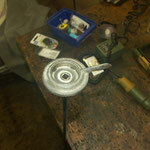 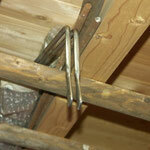 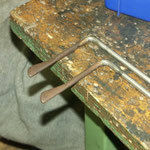 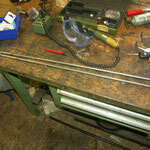 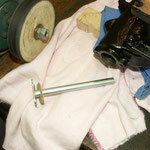 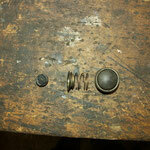 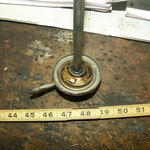 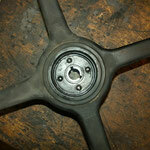 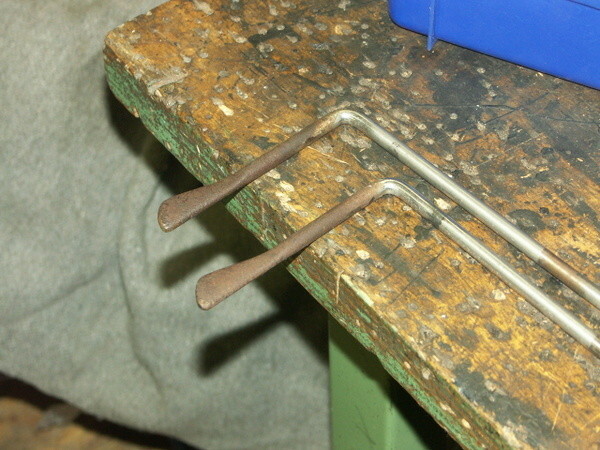 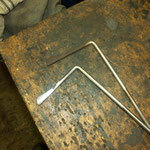 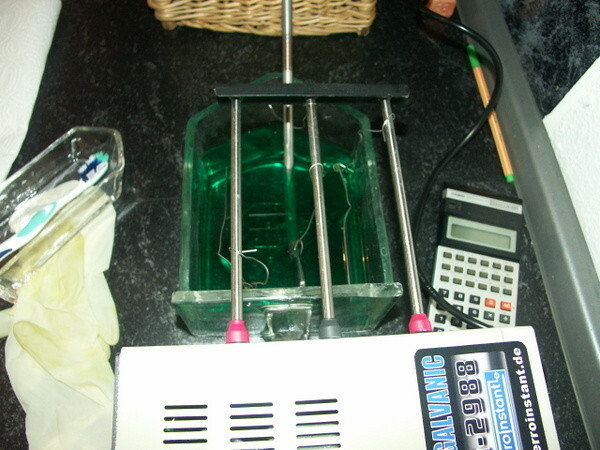 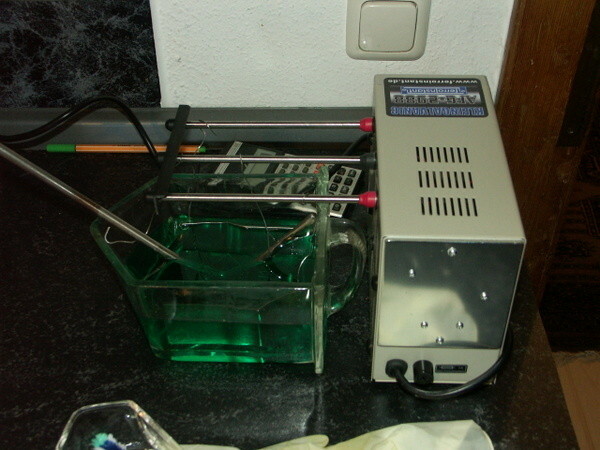 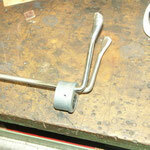 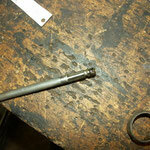 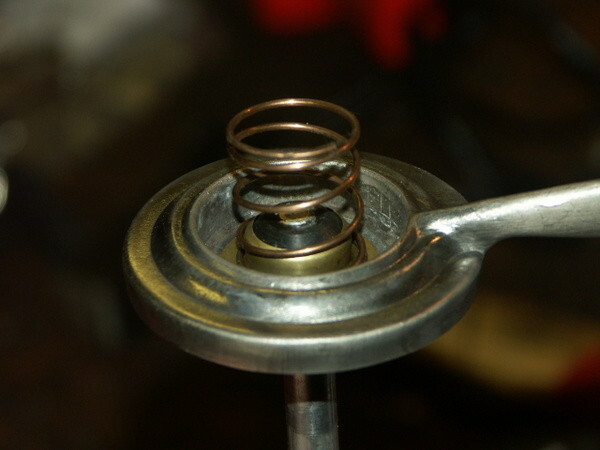 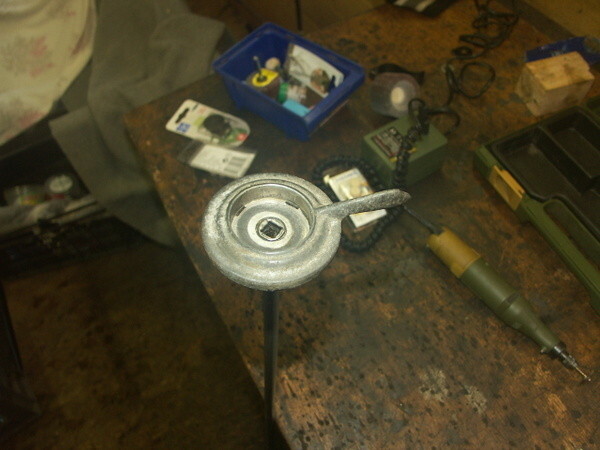 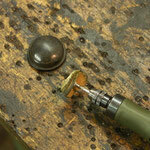 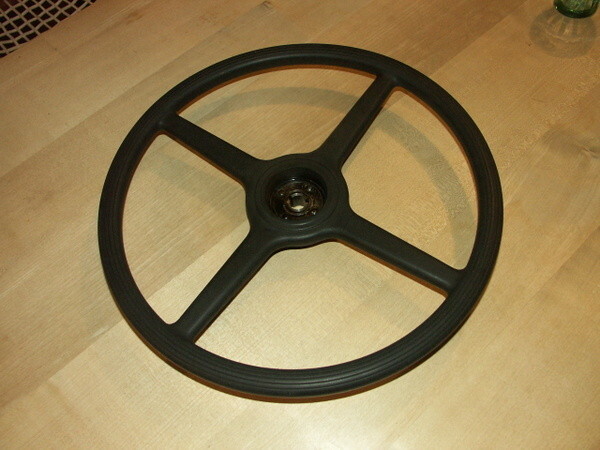 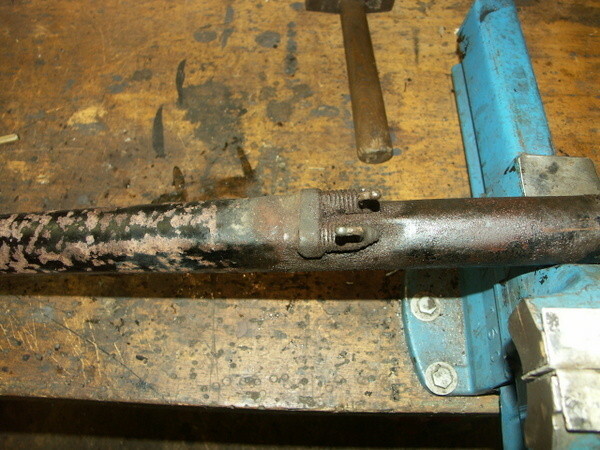 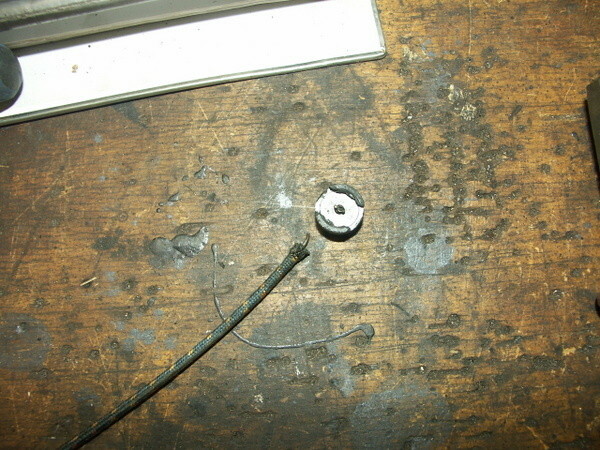 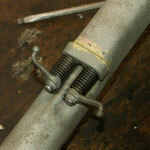 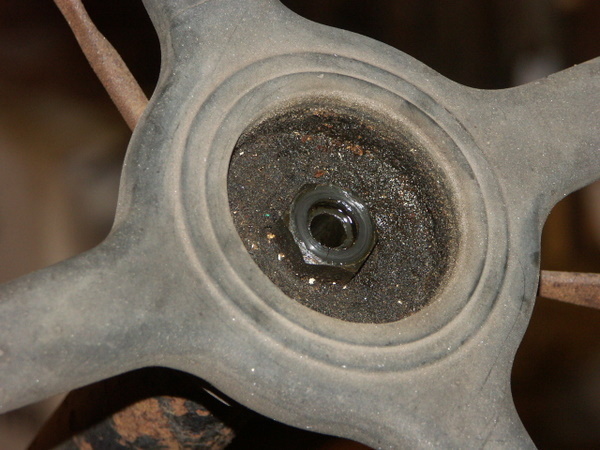 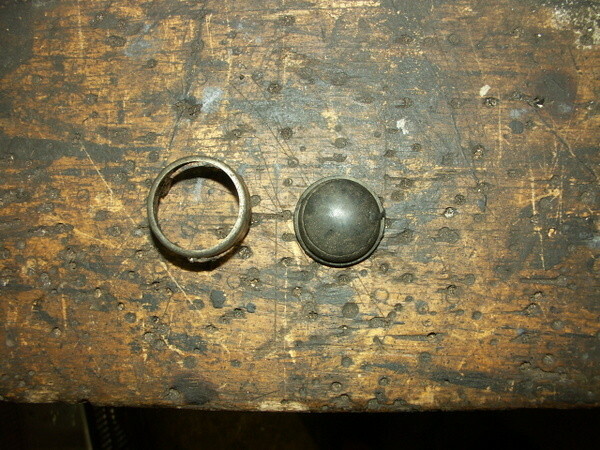 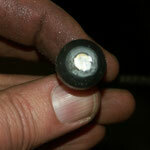 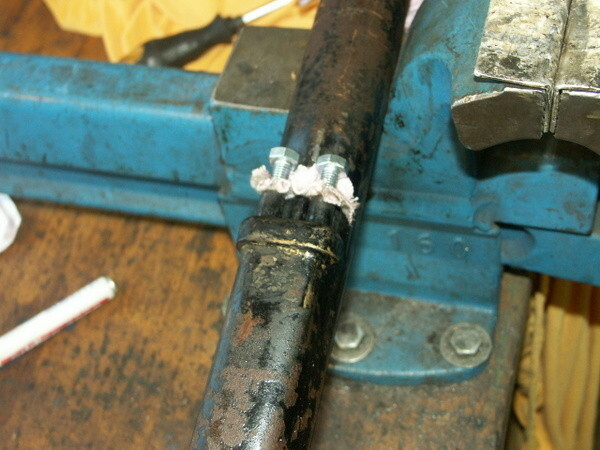 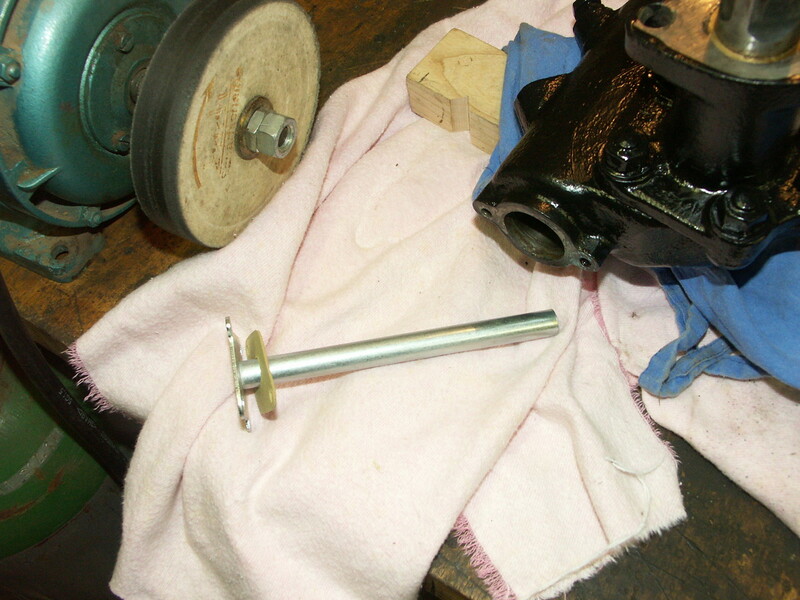 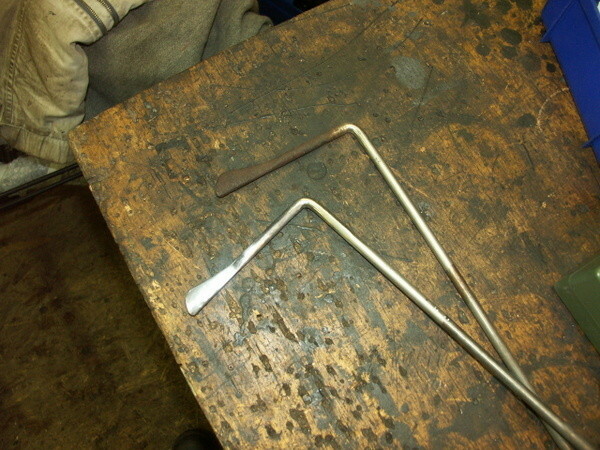 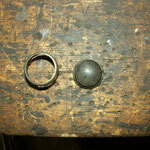 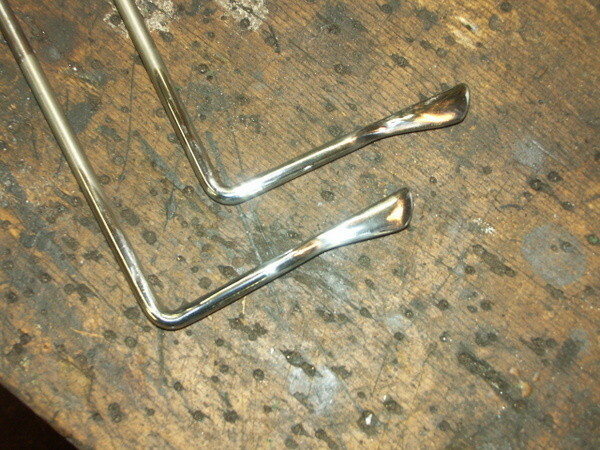 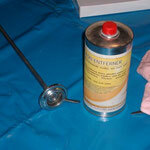 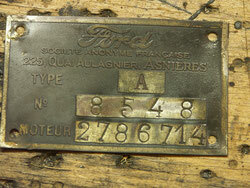 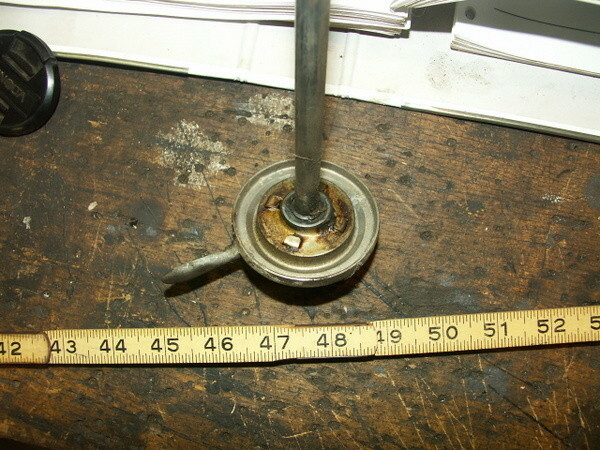 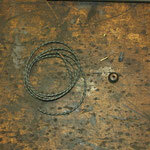 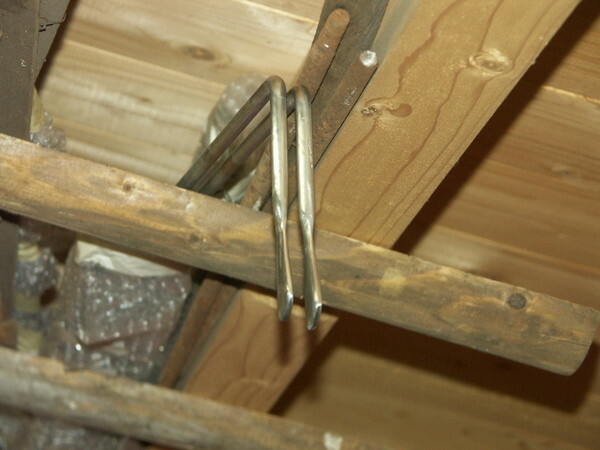 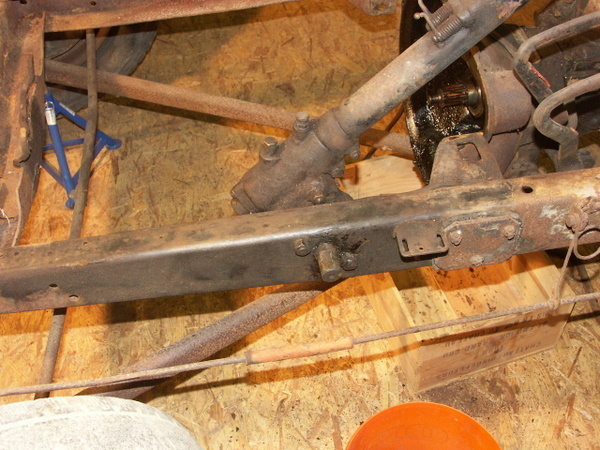 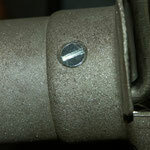 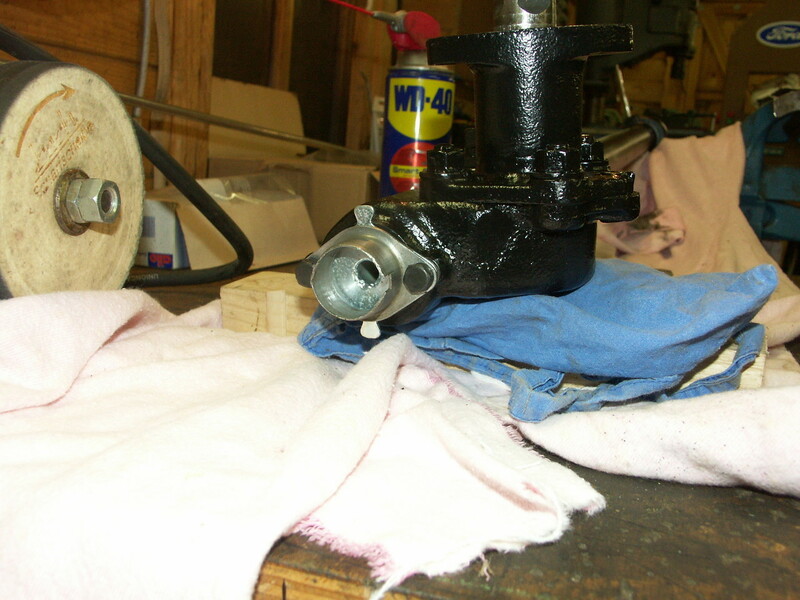 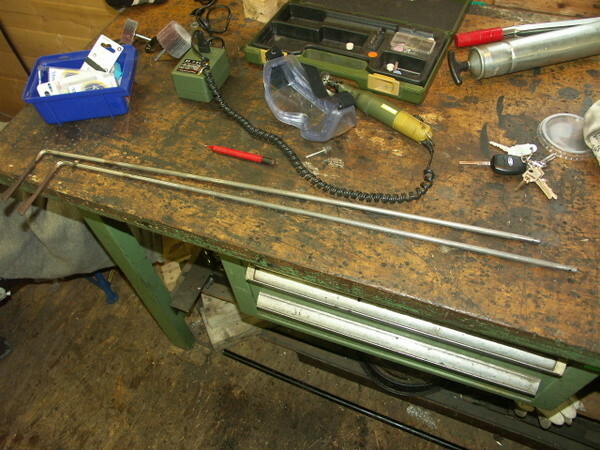 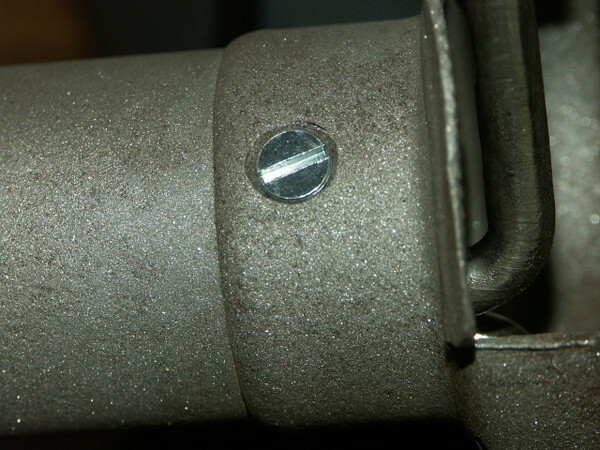 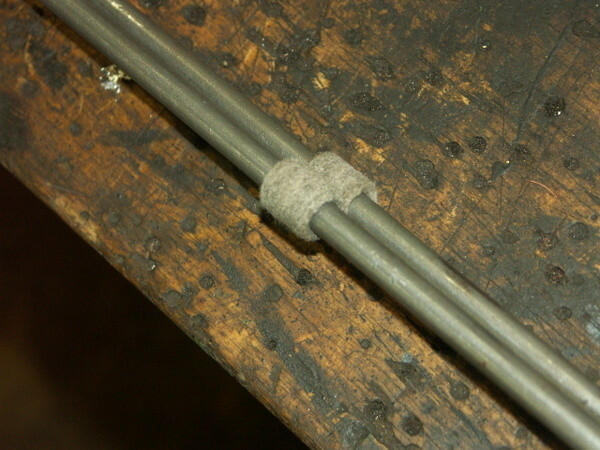 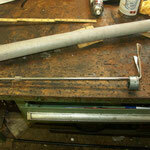 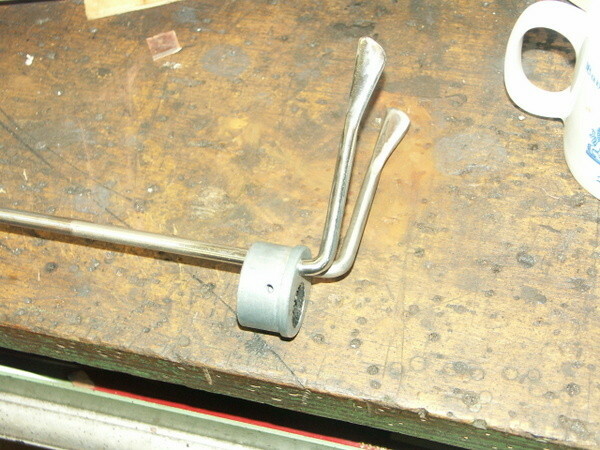 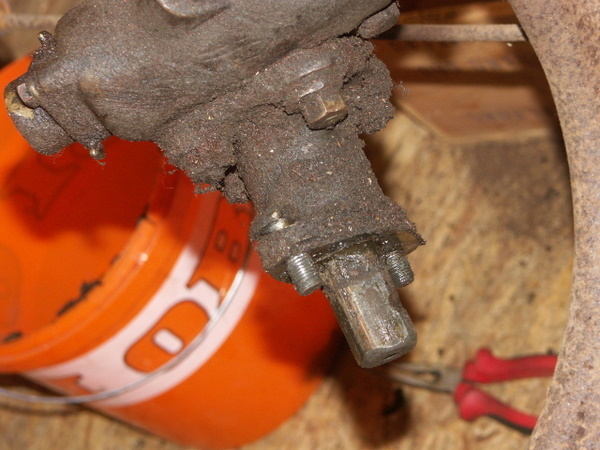 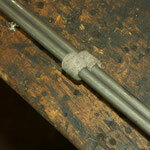 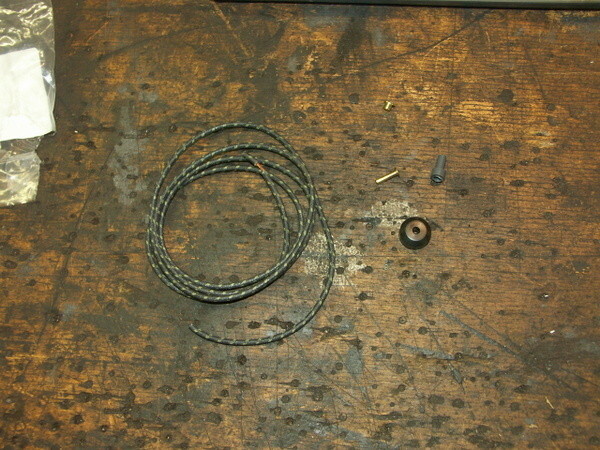 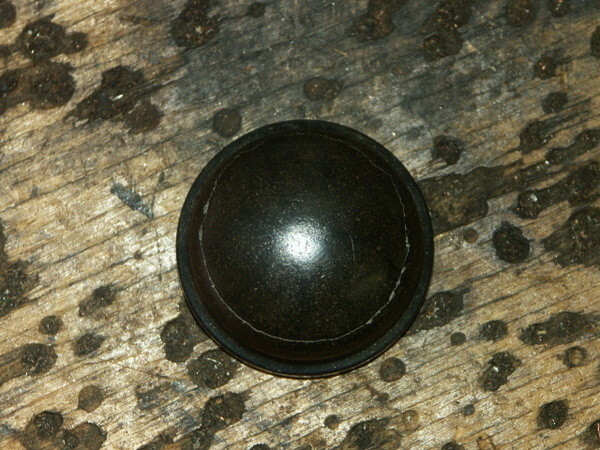 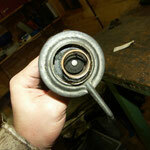 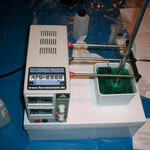 We grinded of the rust and replated the rods with nickel in a "do it yourself" plating assembly. 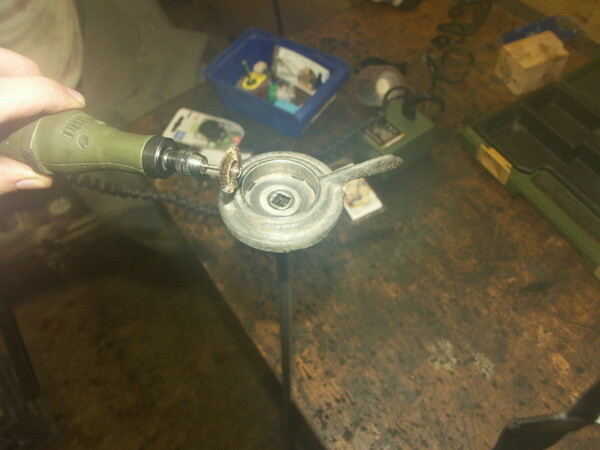 Worked well! 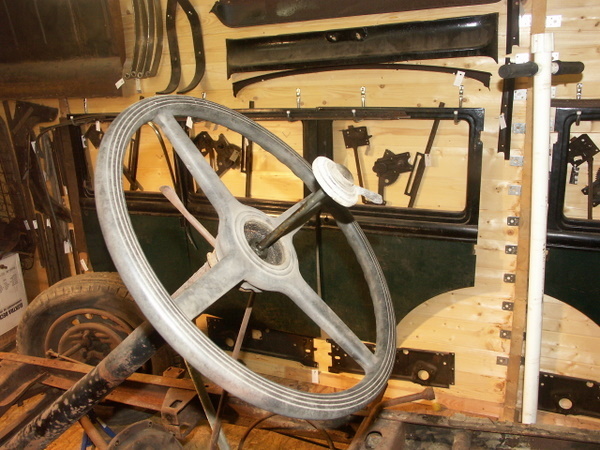 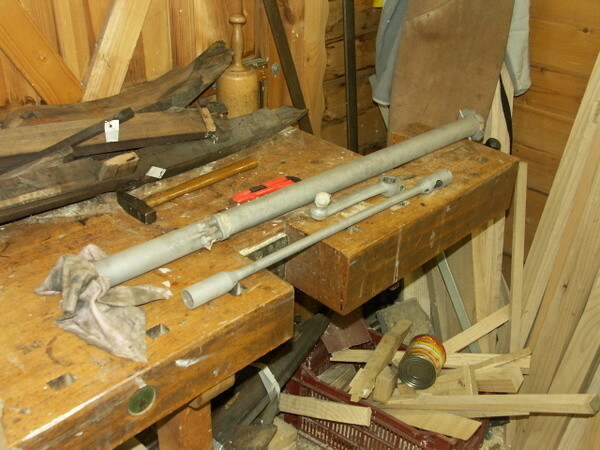 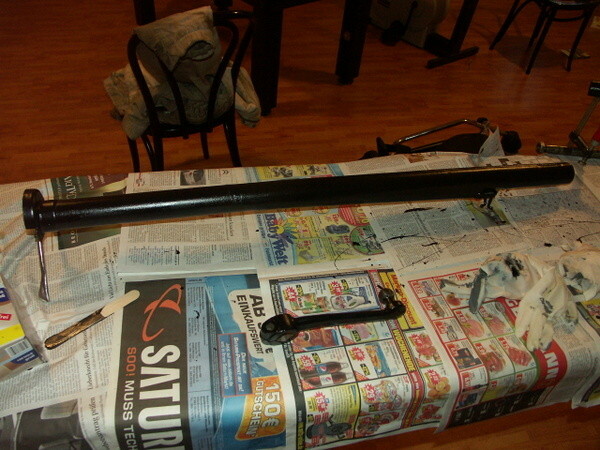 Alle parts (gear, wheel, column, horn rod) assembled. 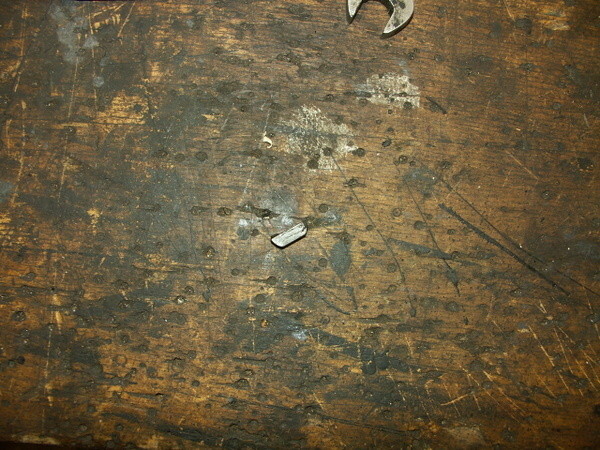 See bottom of page. 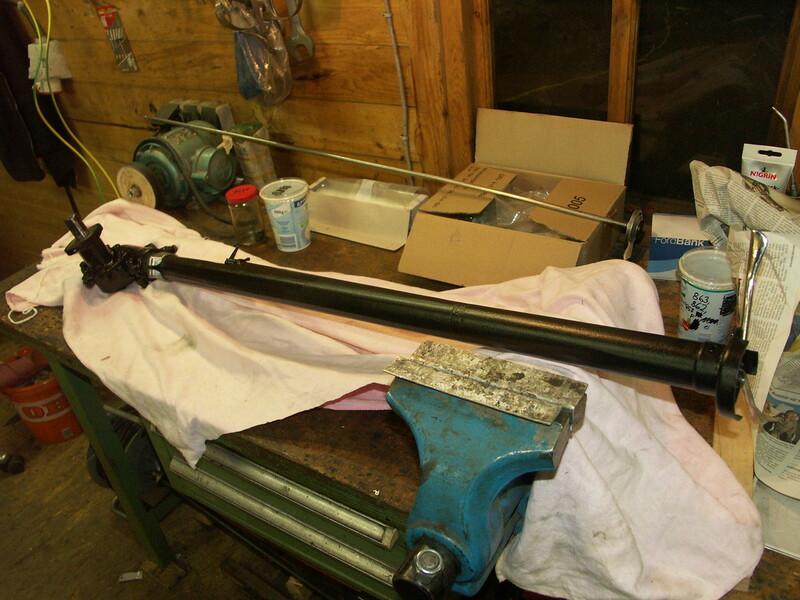 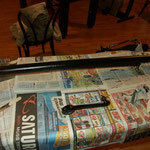 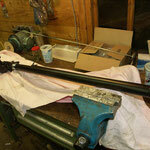 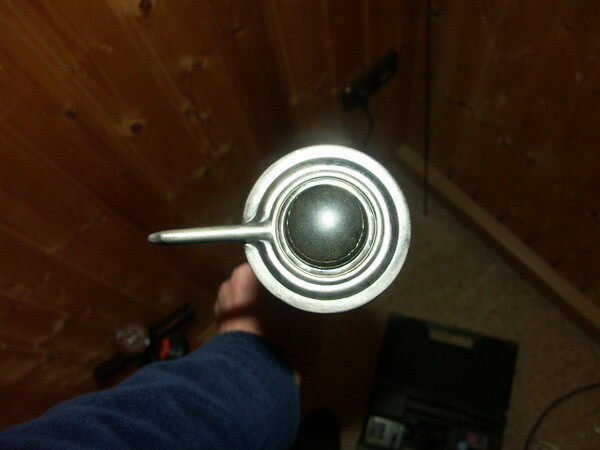 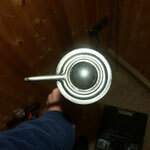 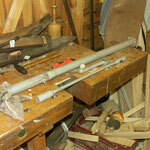 Horn rod is finished. 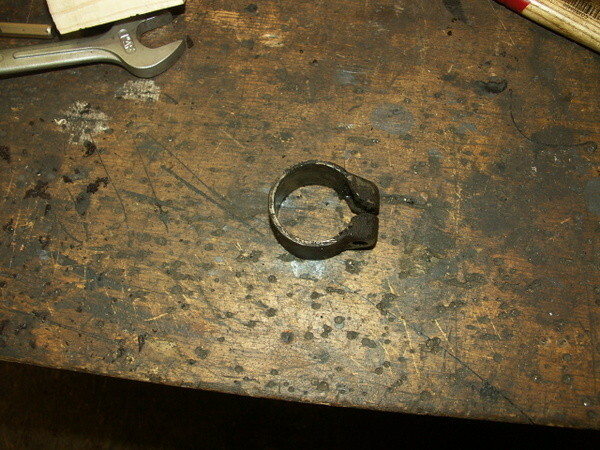 I tried to plate the upper part myself with satisfying results. 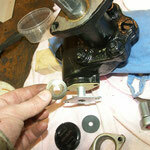 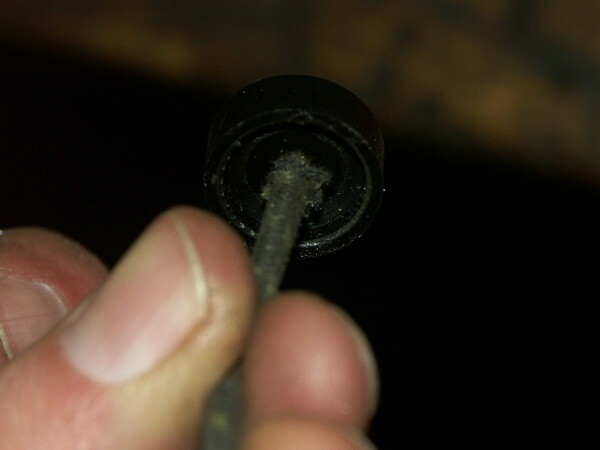 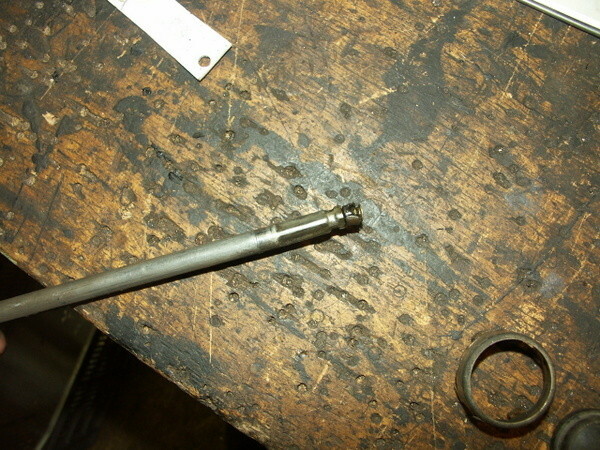 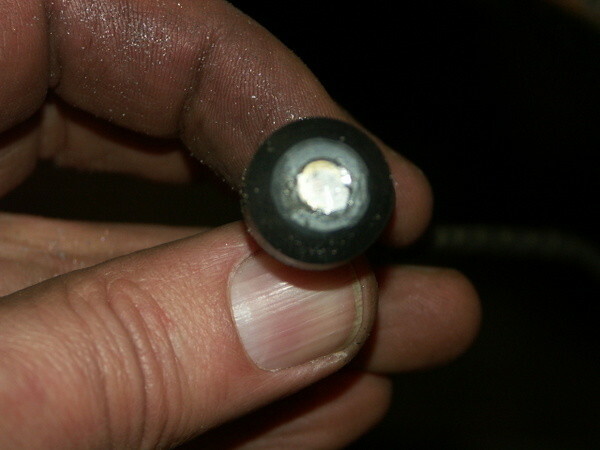 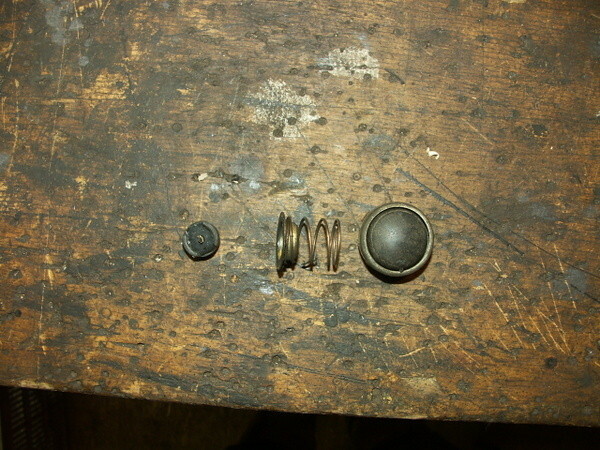 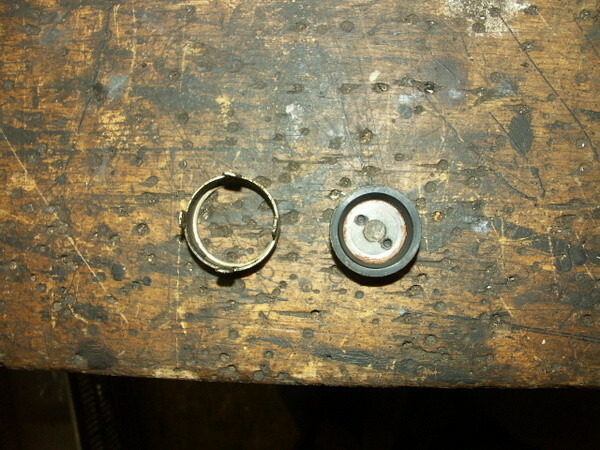 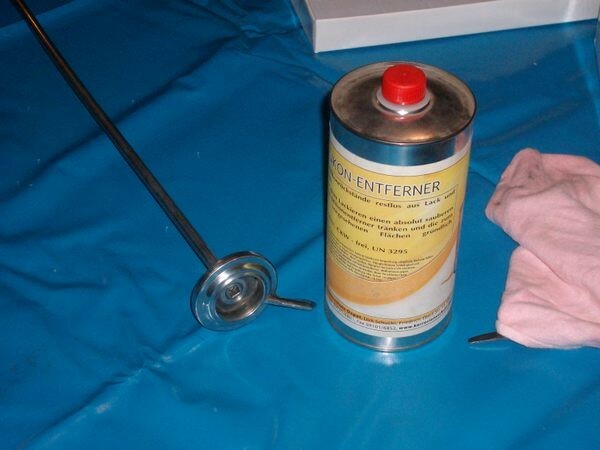 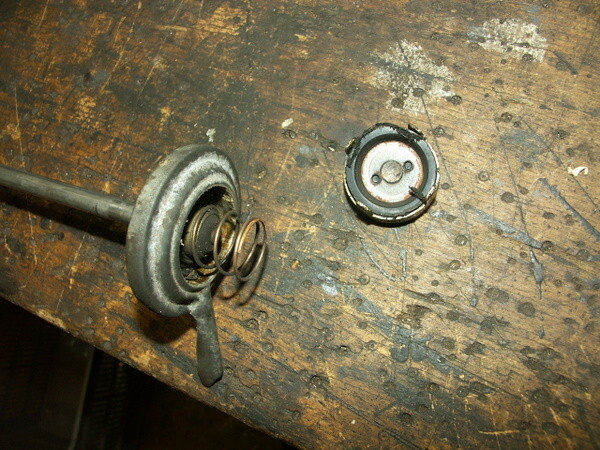 I bought the horn rod repair kit, which did work well. 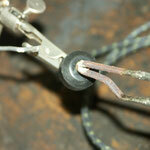 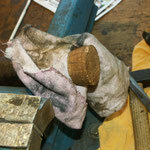 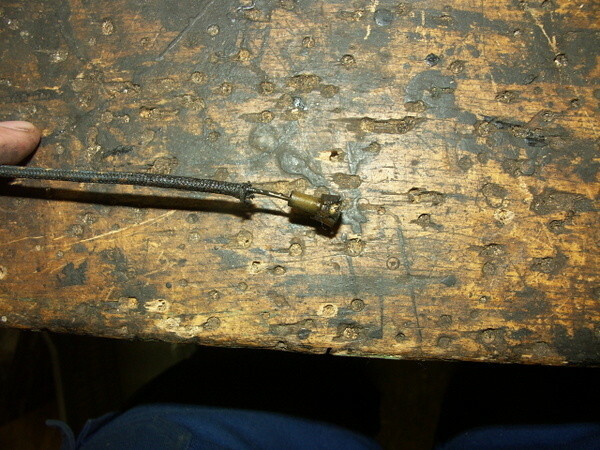 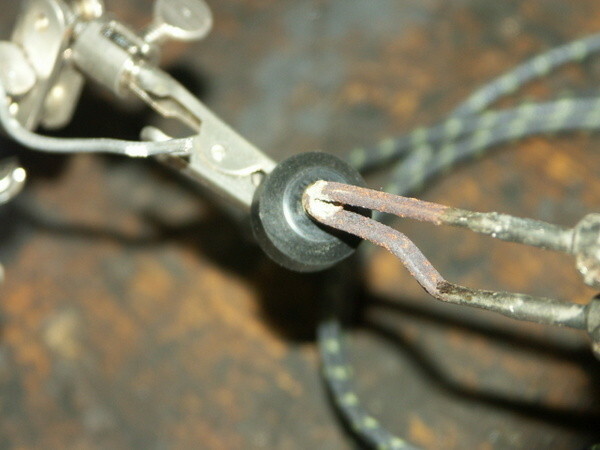 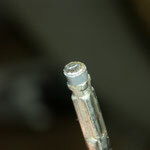 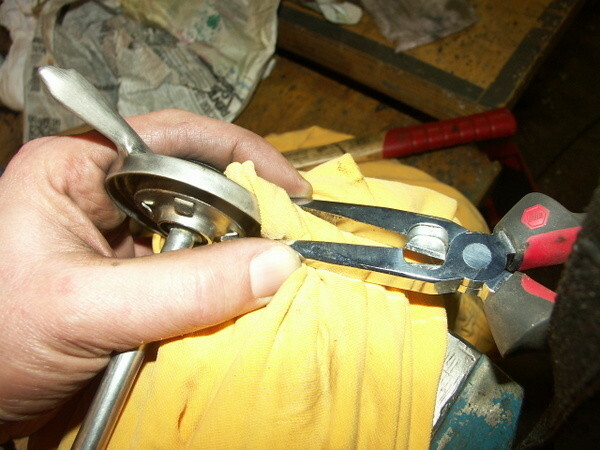 I only had to cut the upper sleeve, as it was likely to touch the rod and to makelectrical contact. 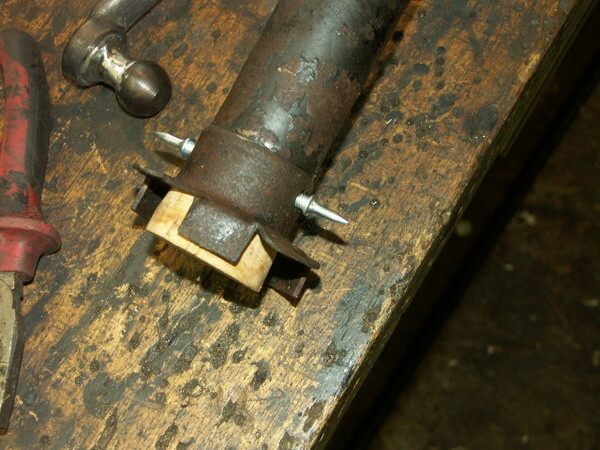 That may lead to a permanetly switch on horn. 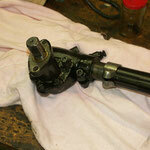 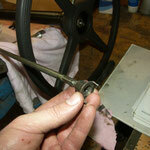 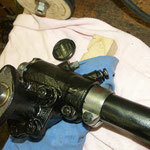 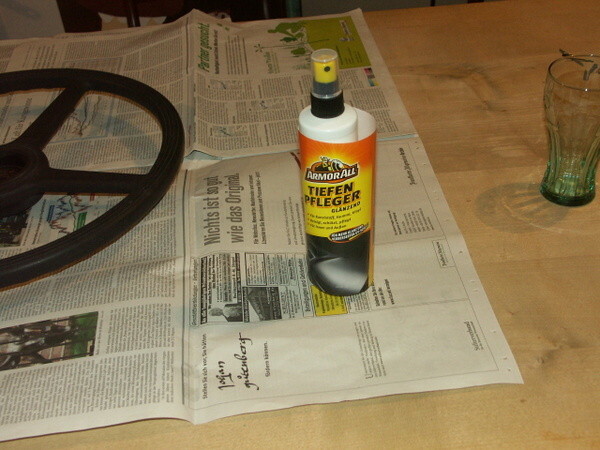 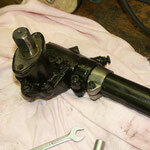 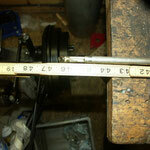 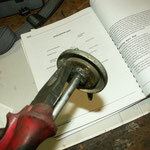 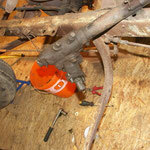 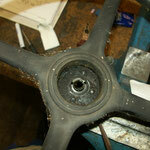 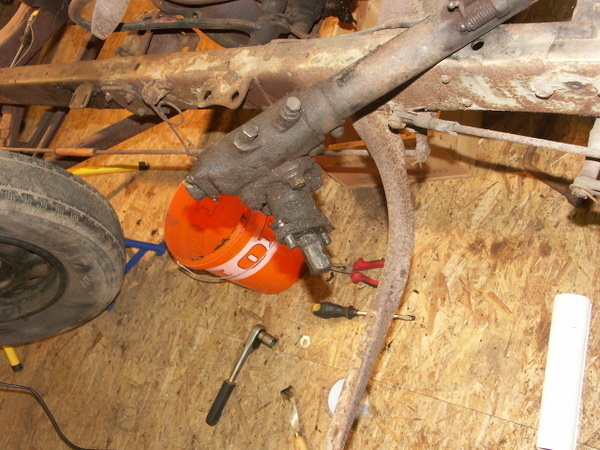 Following the pictures of dissambly, cleaning assembly of the steering column. 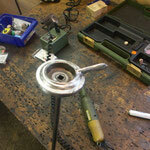 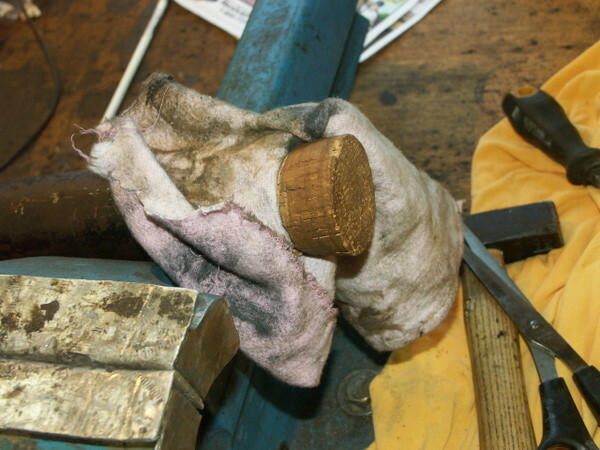 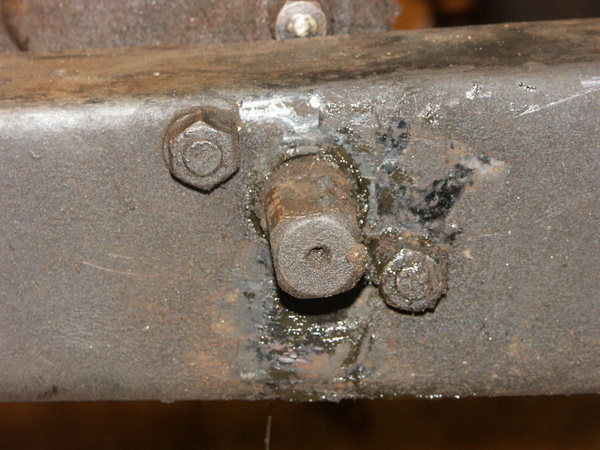 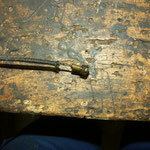 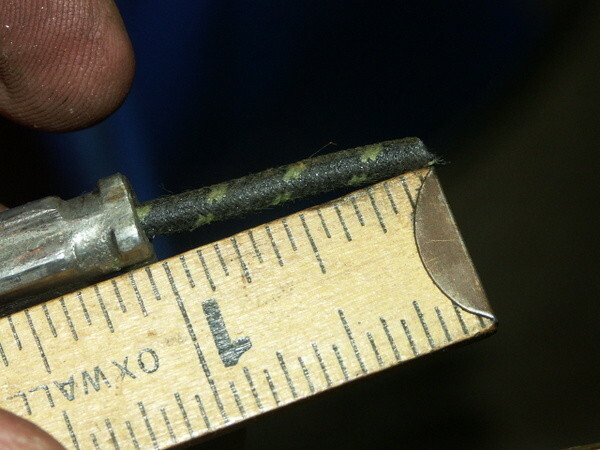 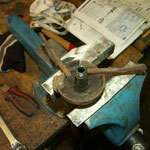 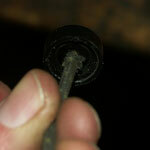 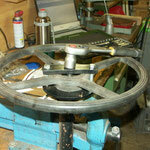 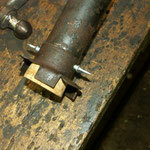 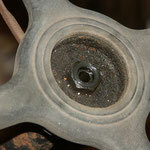 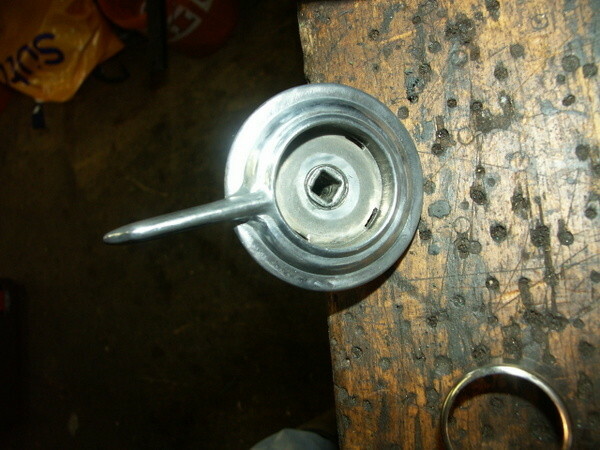 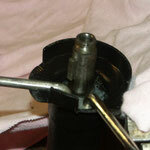 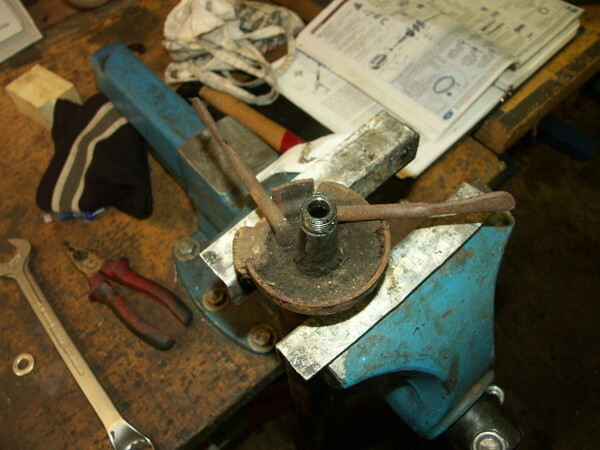 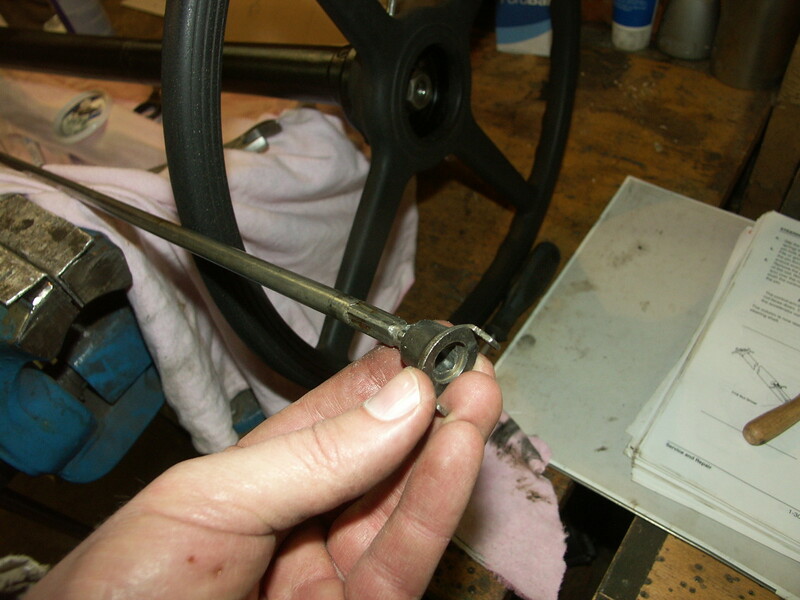 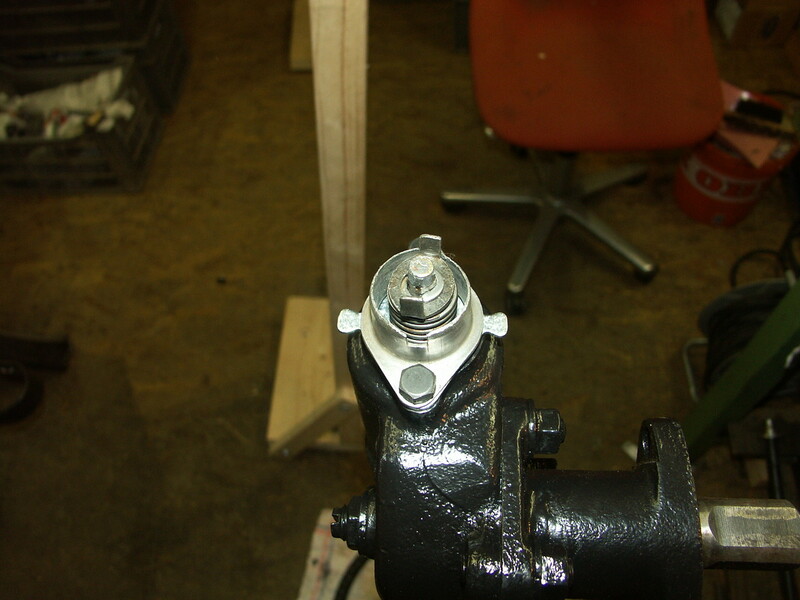 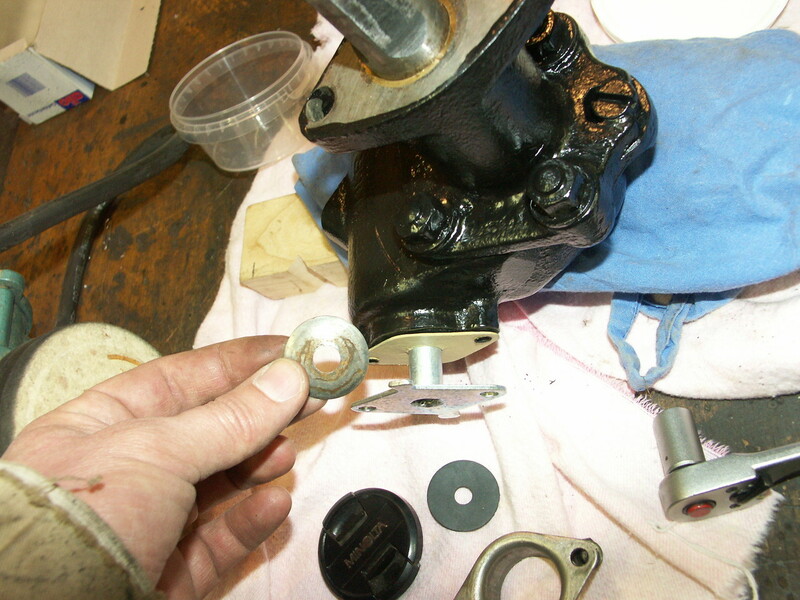 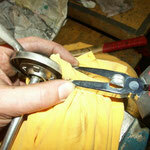 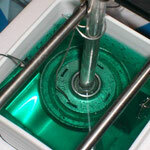 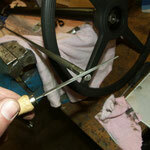 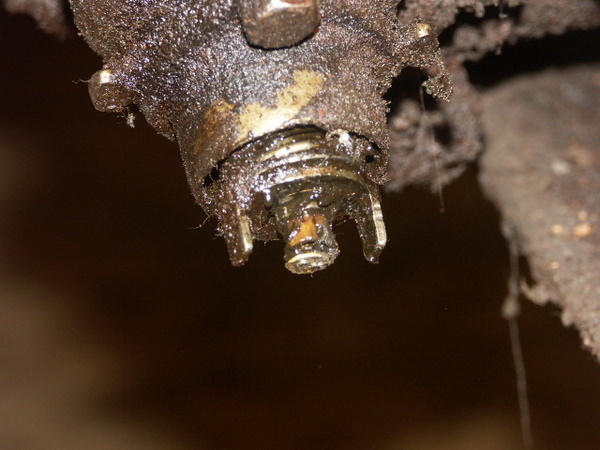 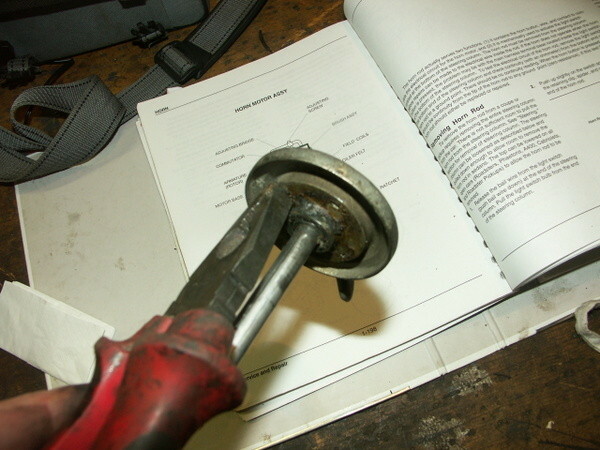 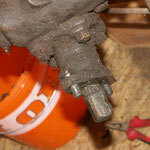 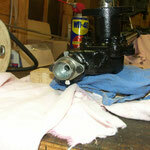 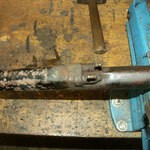 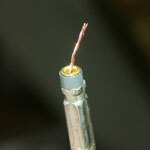 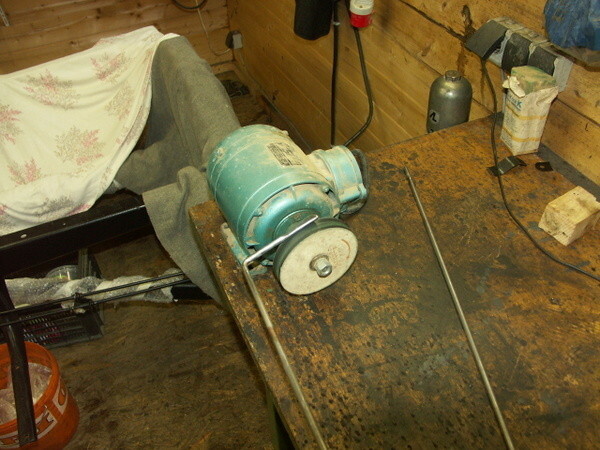 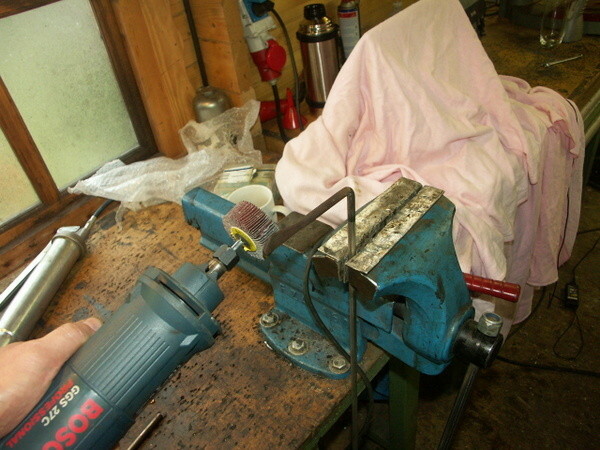 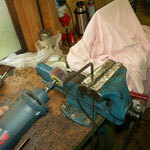 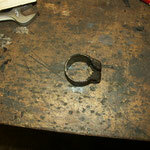 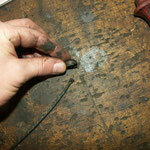 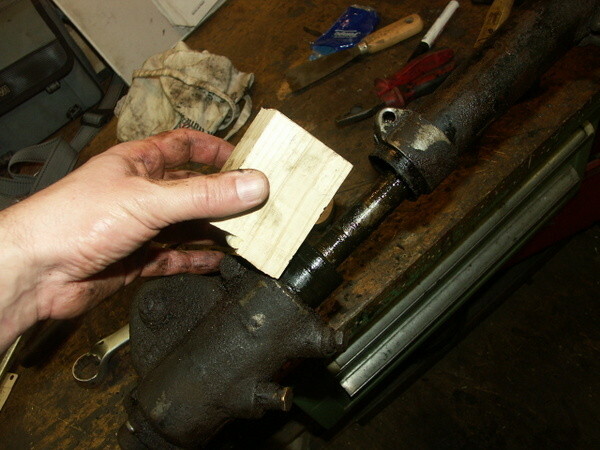 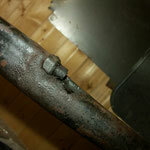 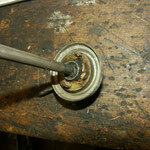 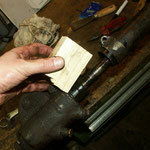 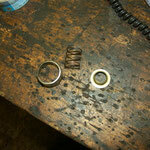 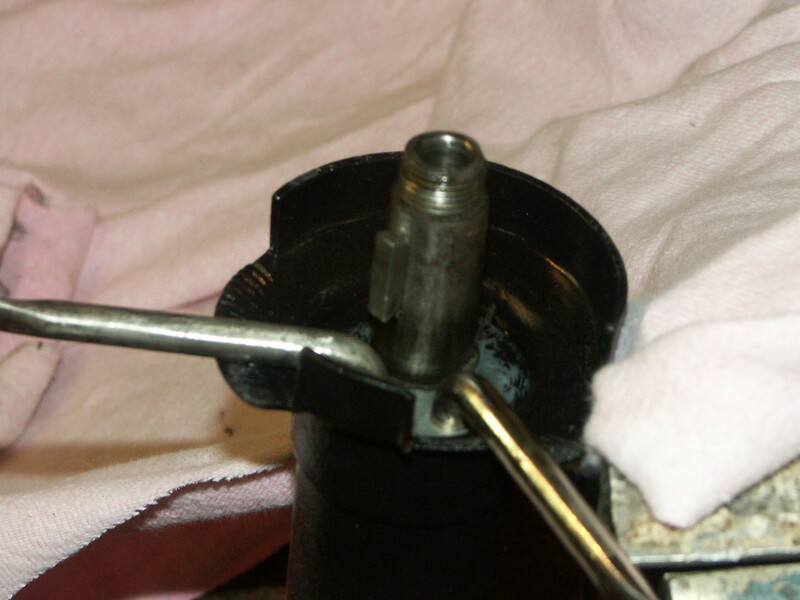 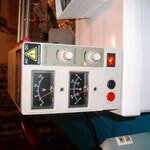 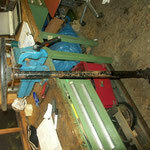 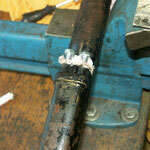 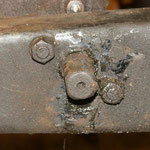 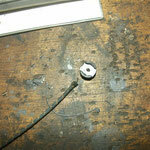 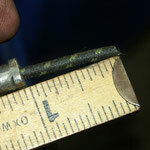 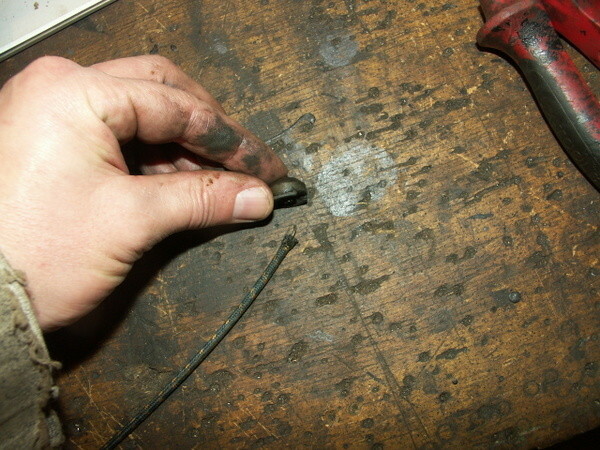 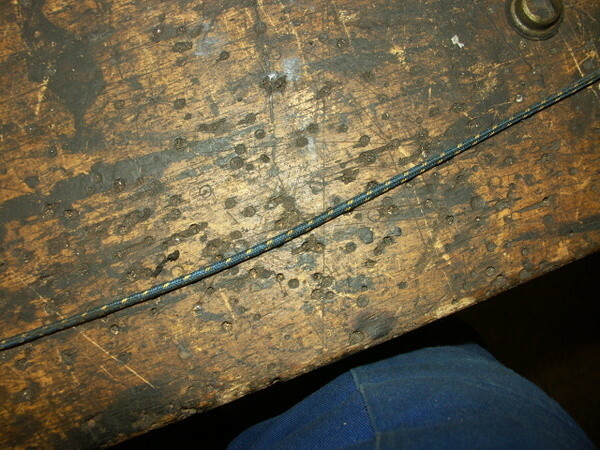 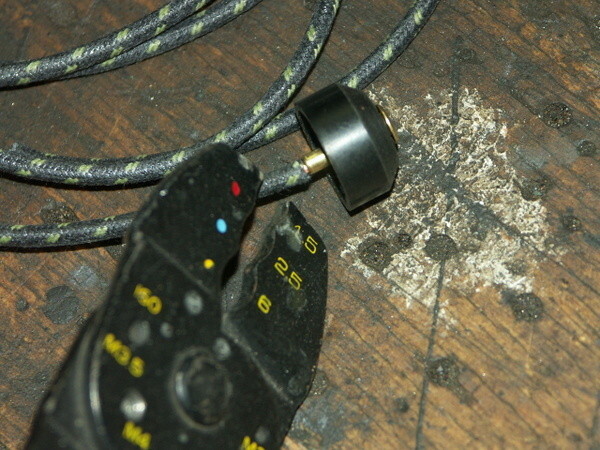 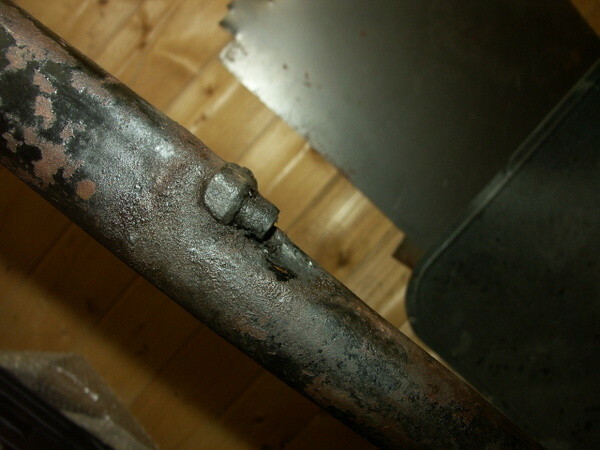 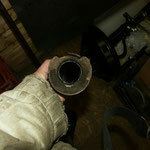 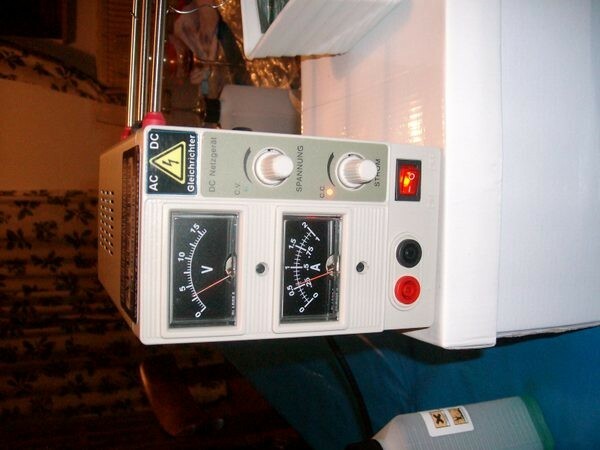 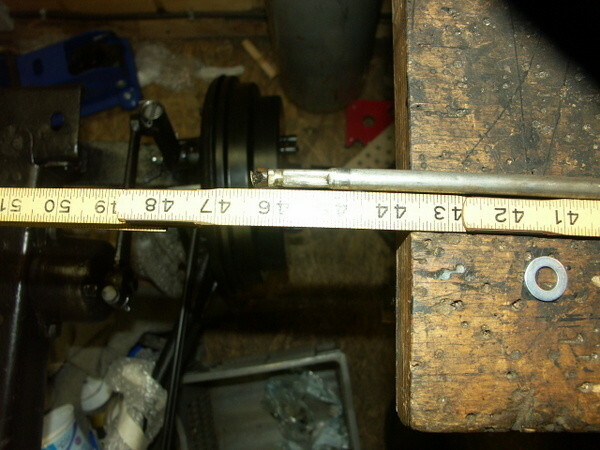 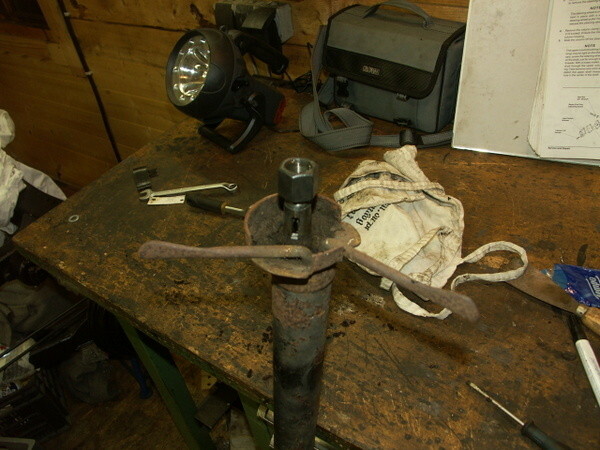 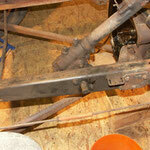 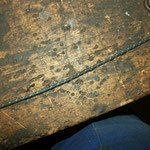 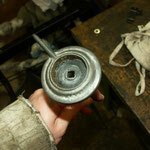 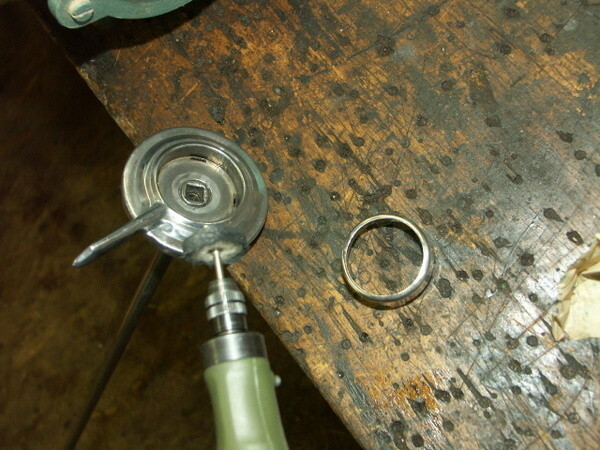 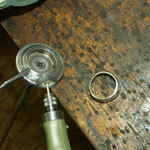 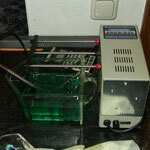 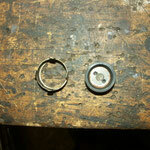 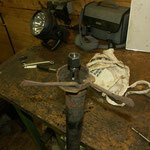 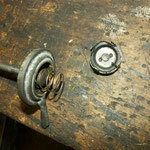 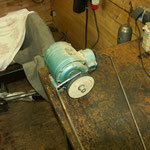 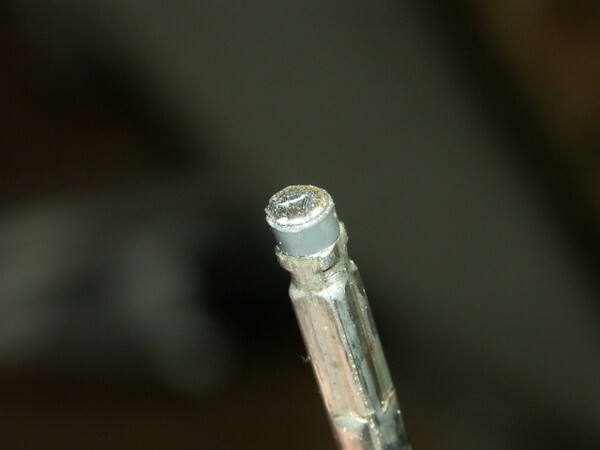 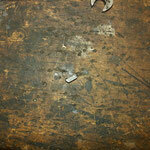 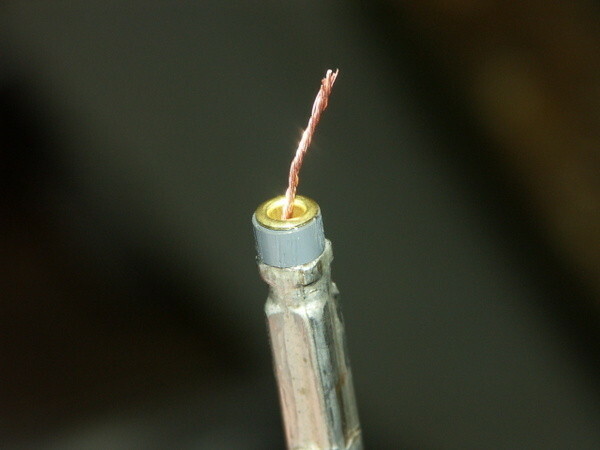 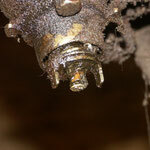 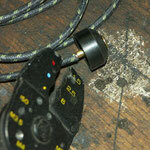 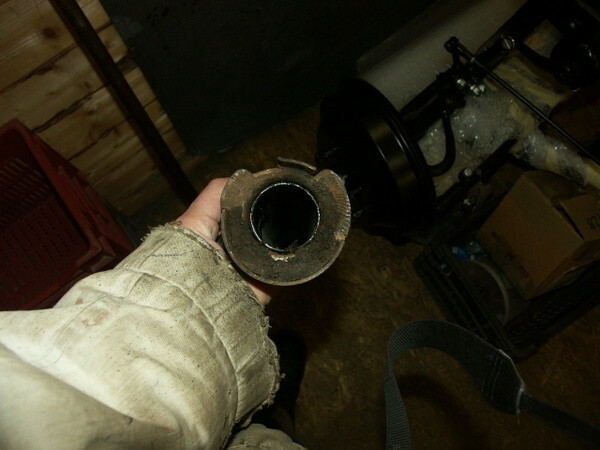 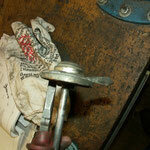 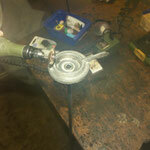 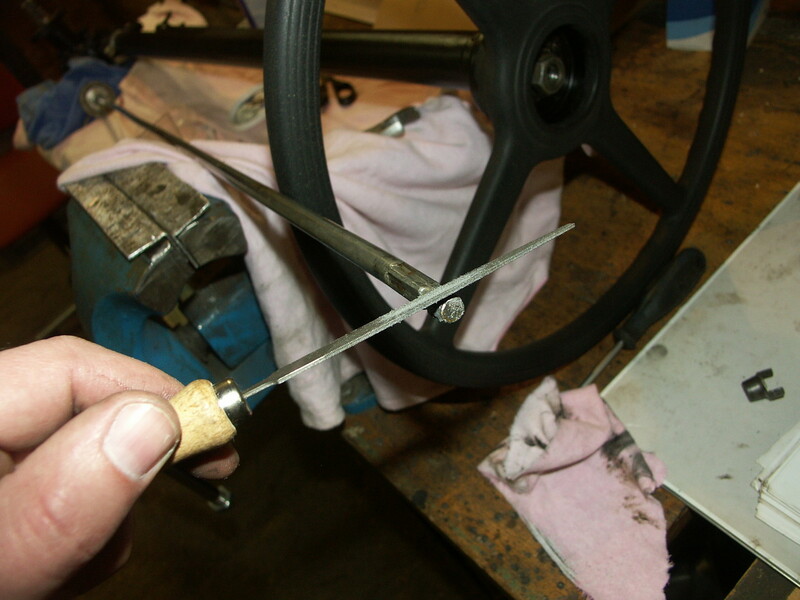 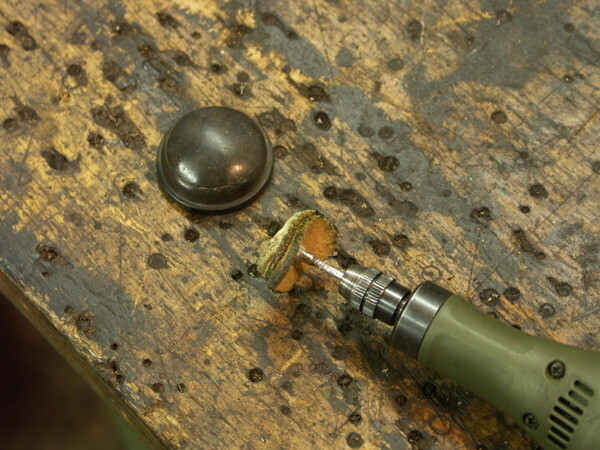 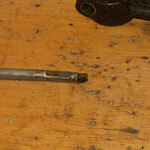 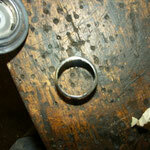 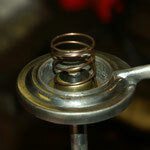 The threads on the shaft were very bad, so we tried to redo the threads with a hand grinder, seems to work. 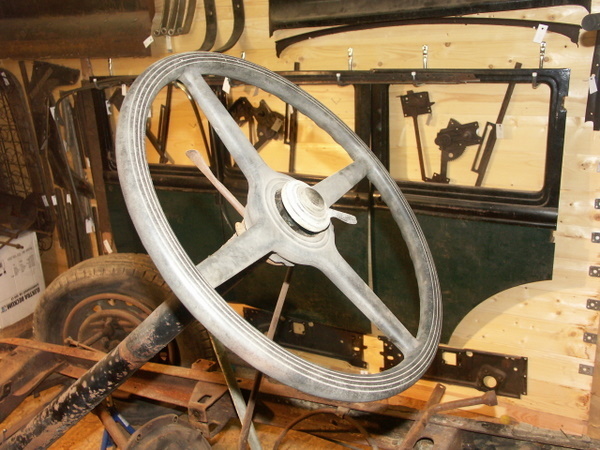 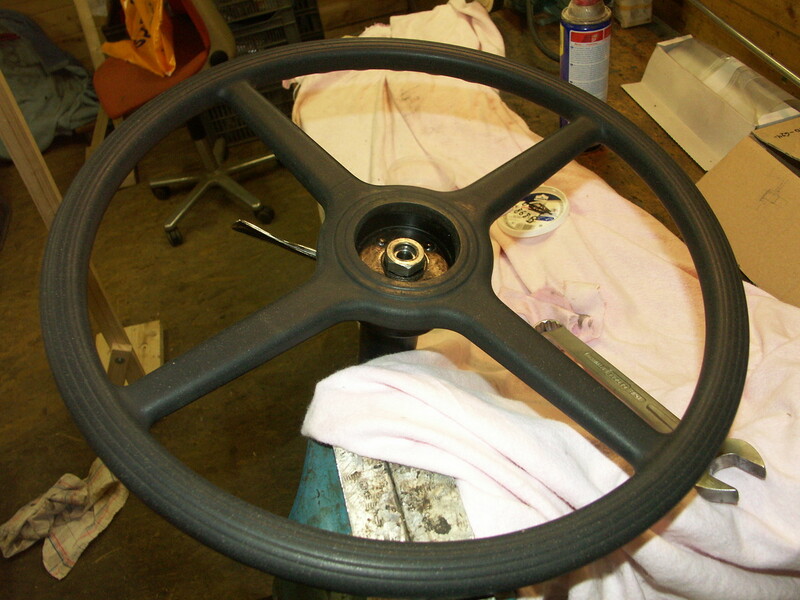 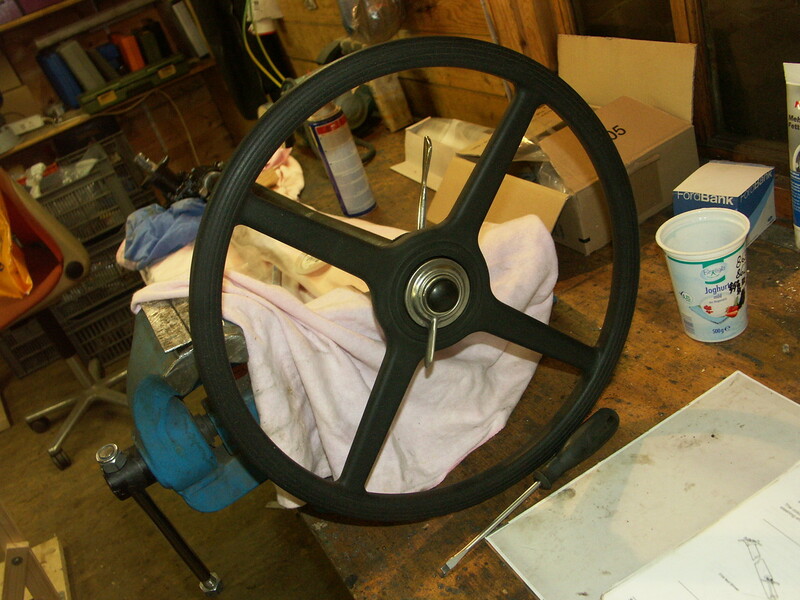 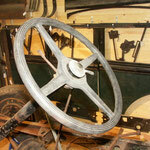 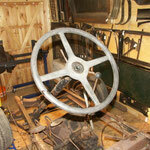 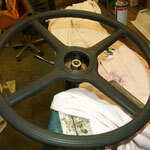 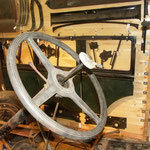 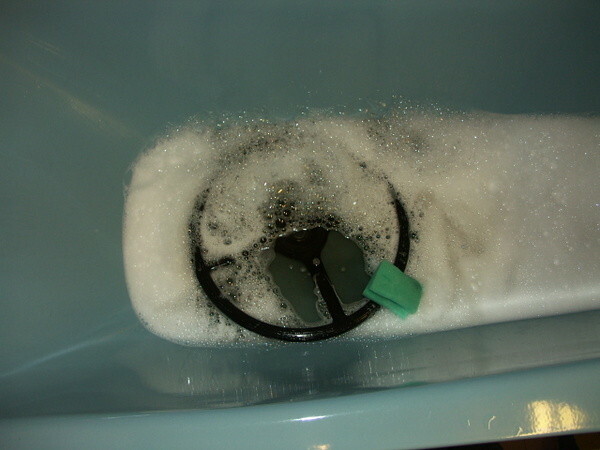 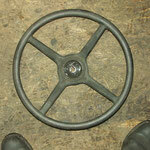 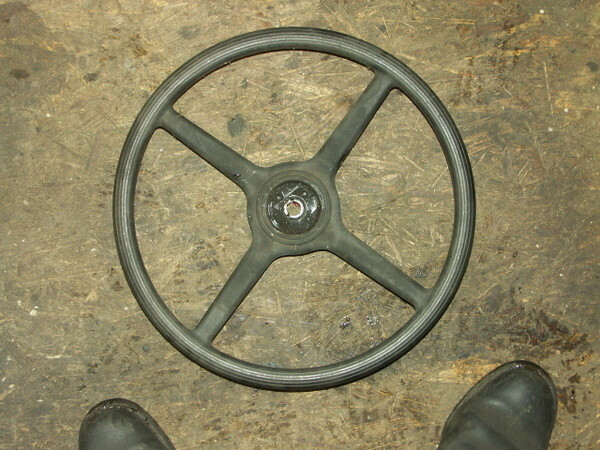 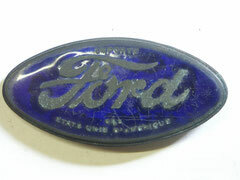 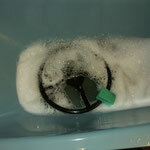 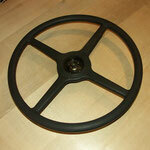 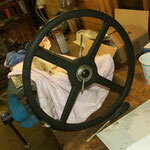 The steering wheel we only cleaned with normal dish washing liquid and a interior trim spray for modern cars. 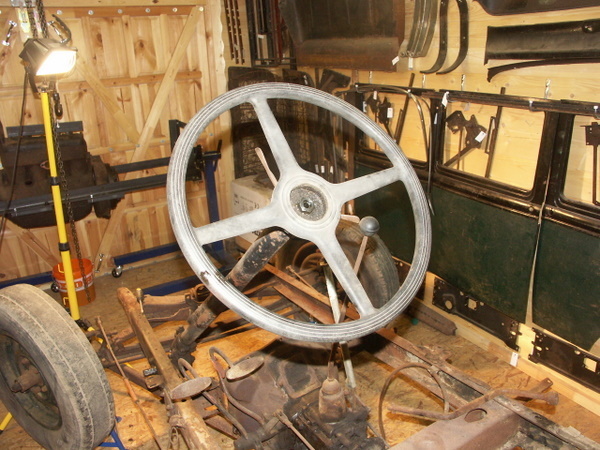 All parts (gear, wheel, column, horn rod) assembled.